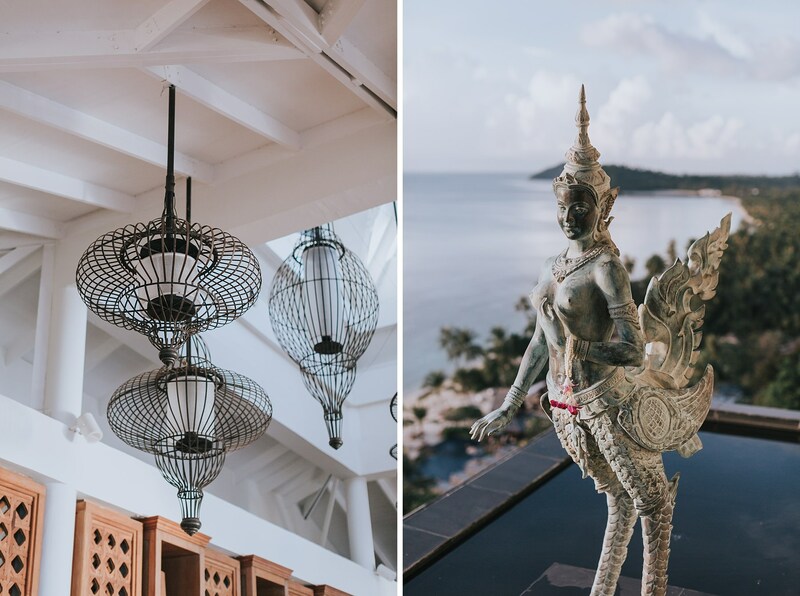 Words will never really do justice to the incredible things I had the pleasure of experiencing on Koh Samui early last year. 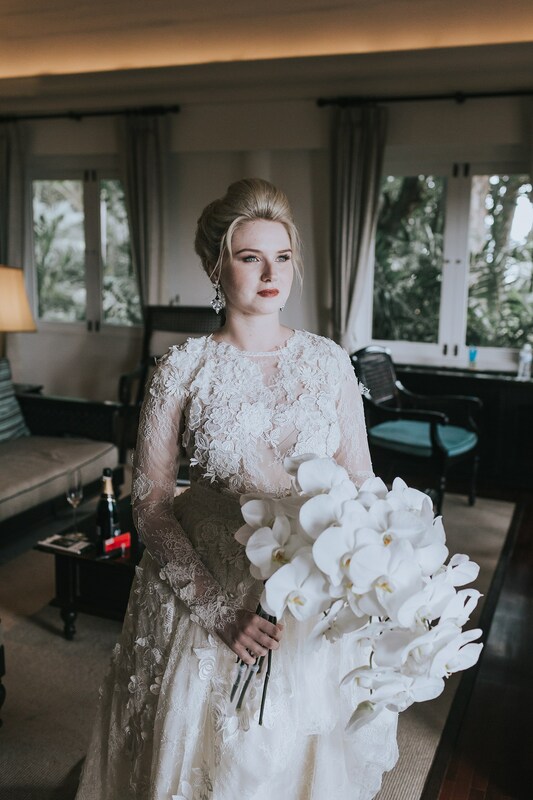 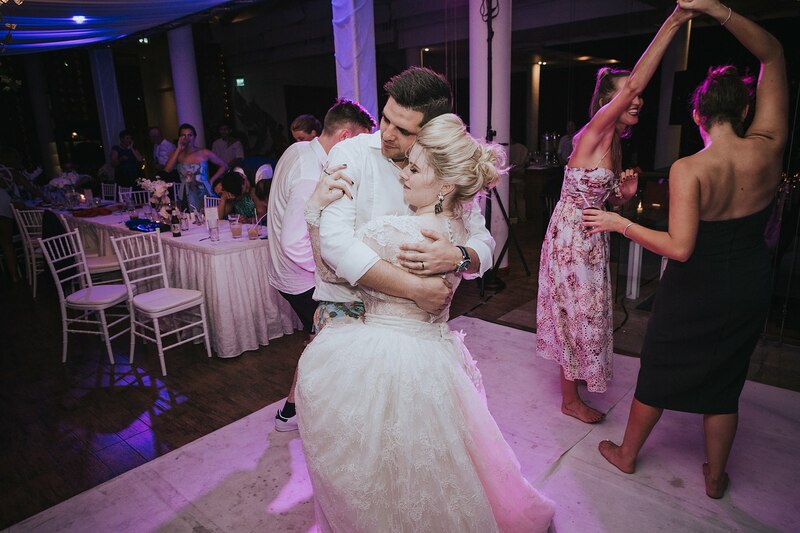 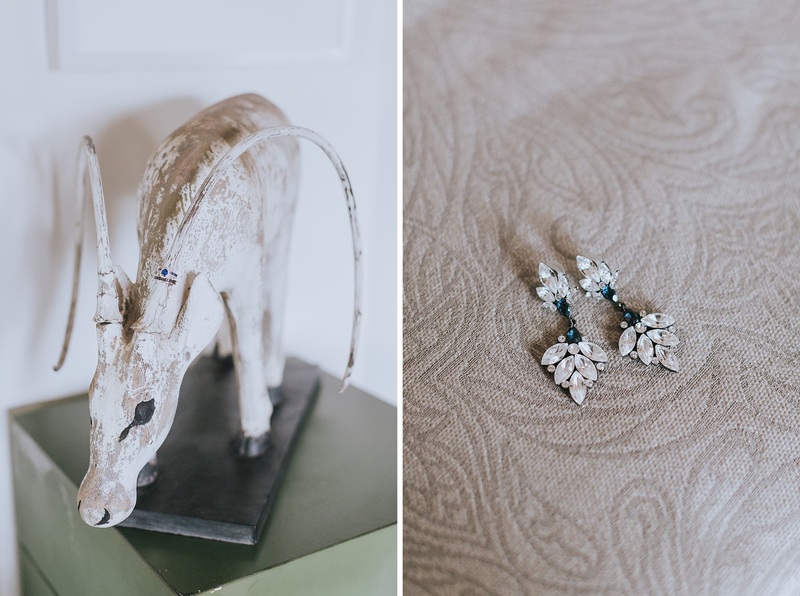 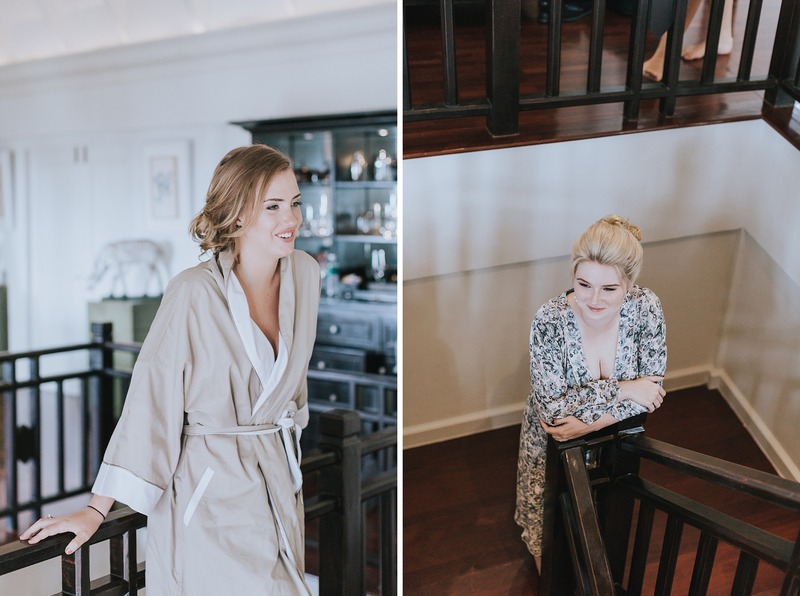 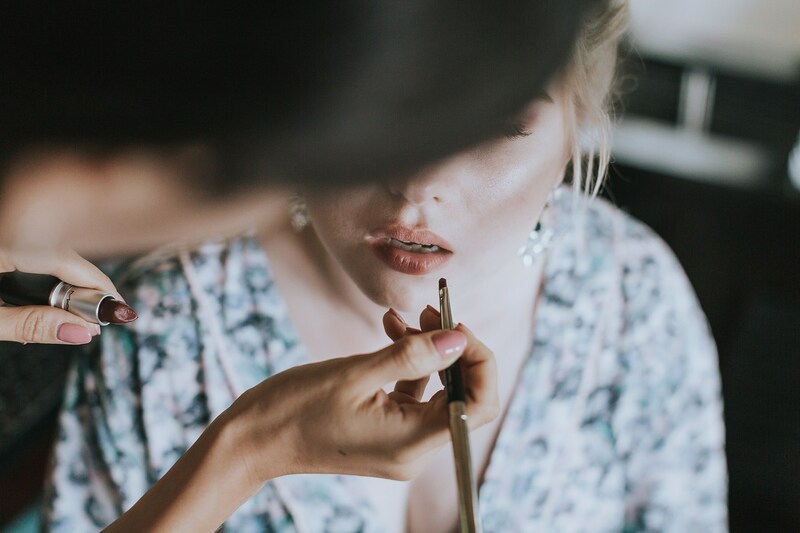 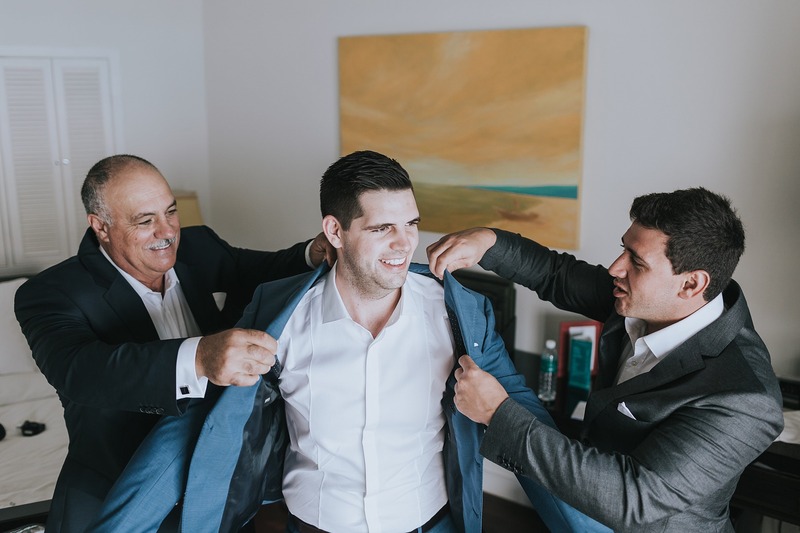 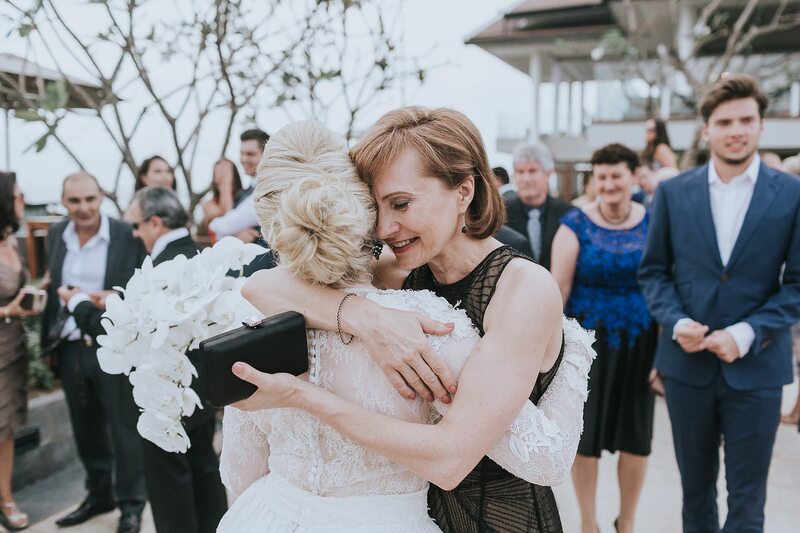 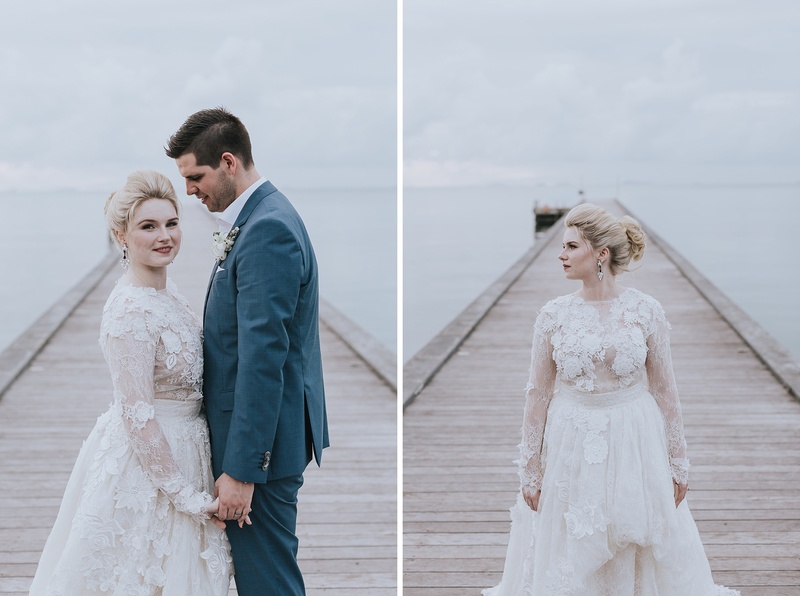 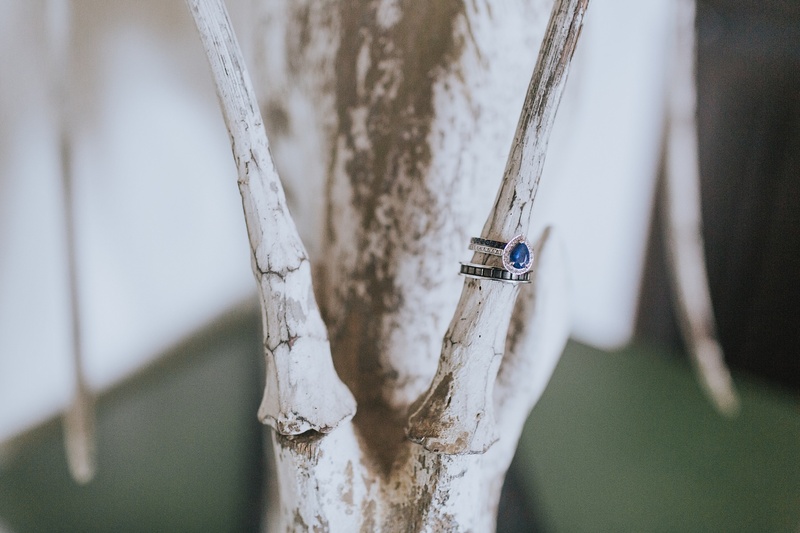 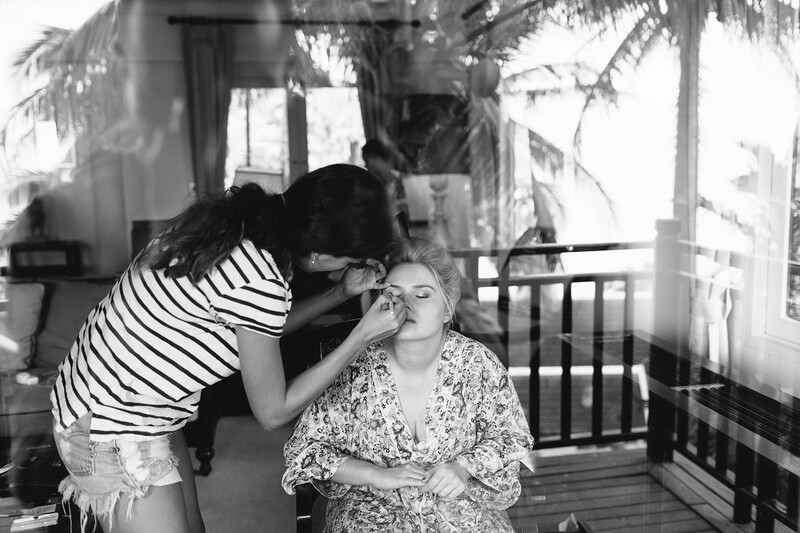 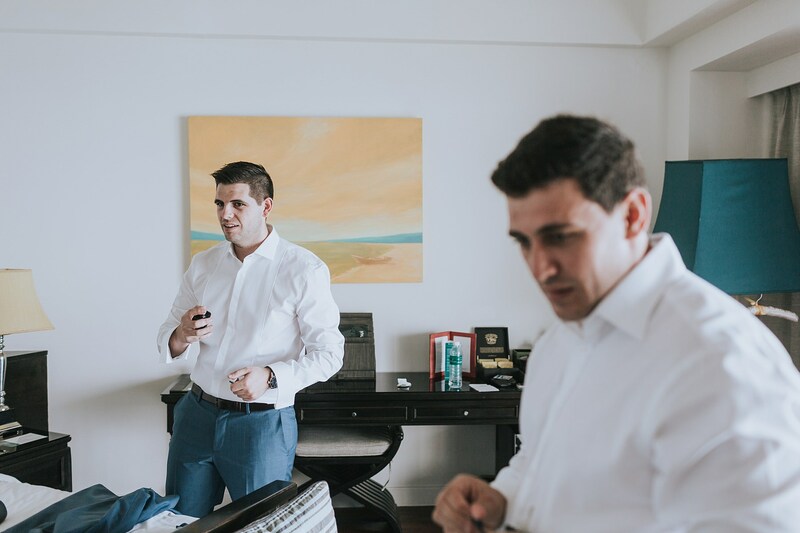 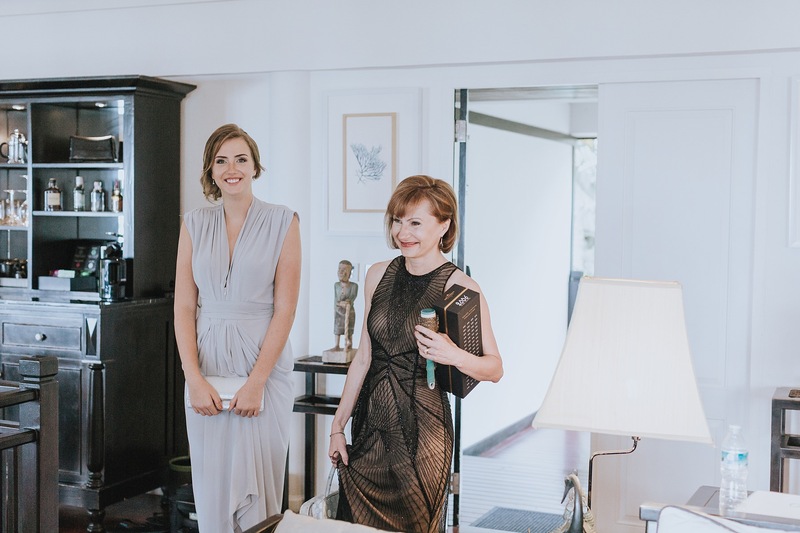 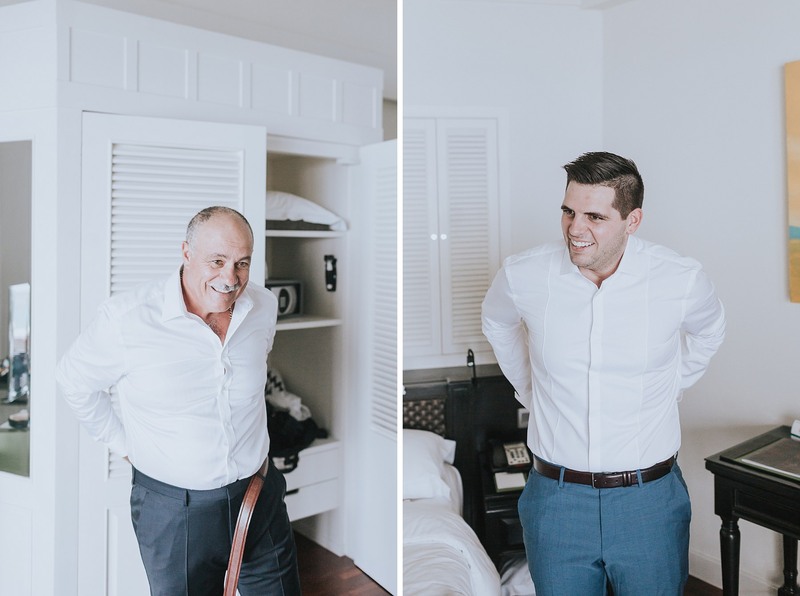 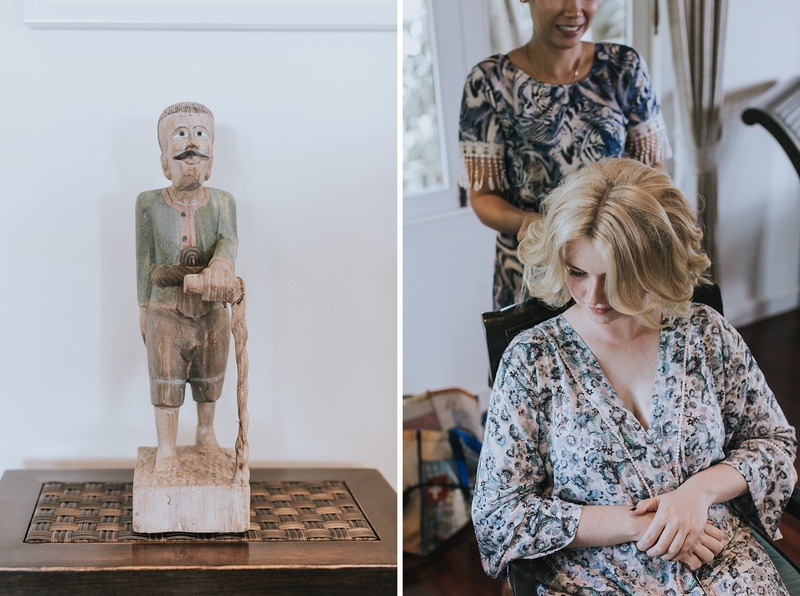 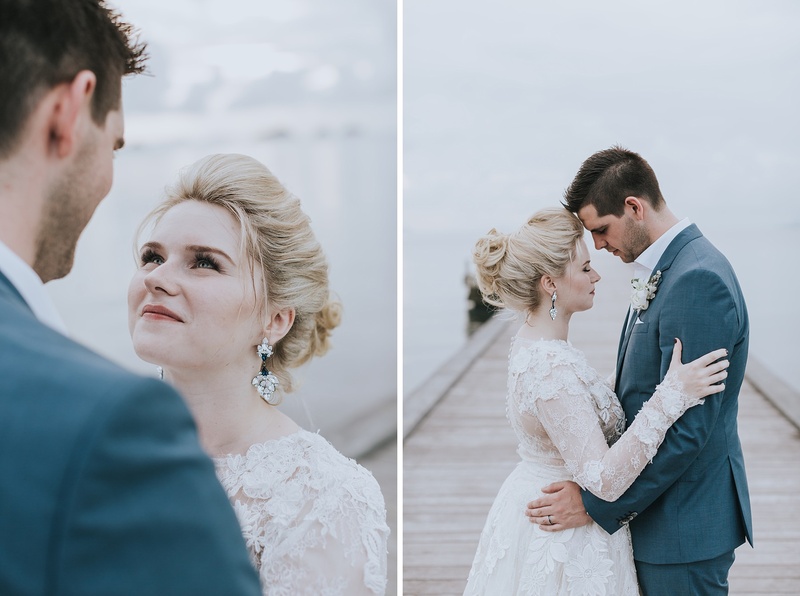 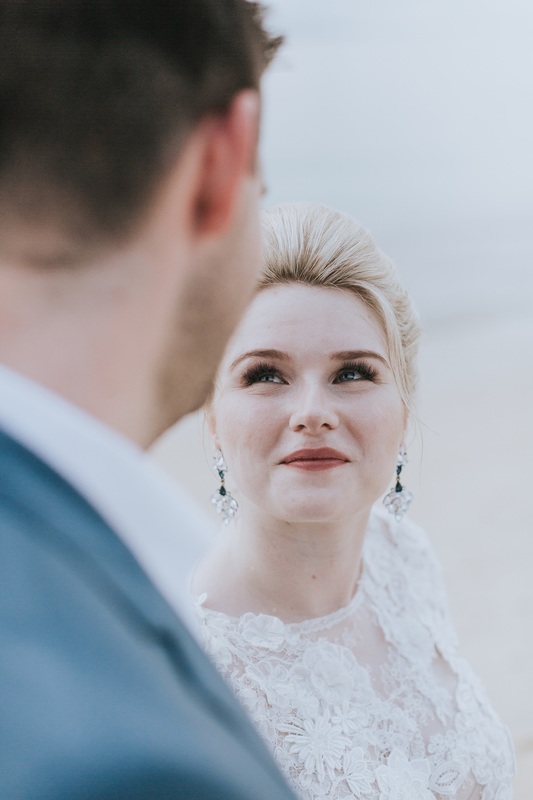 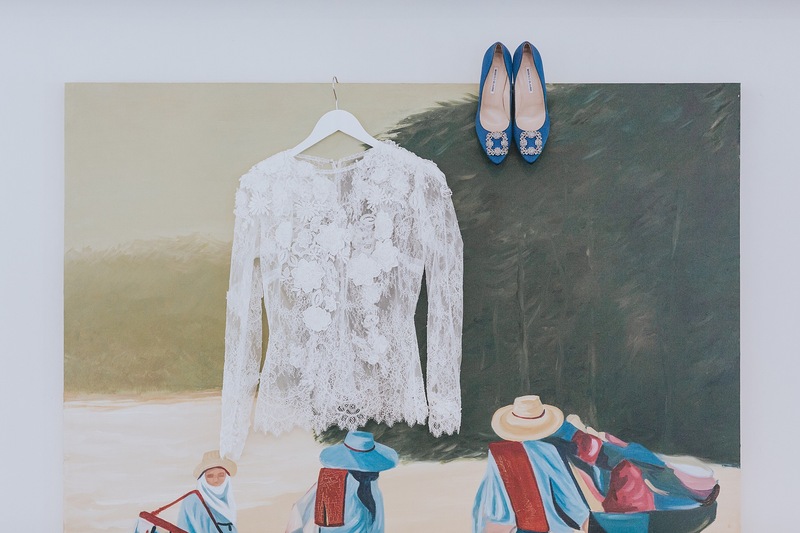 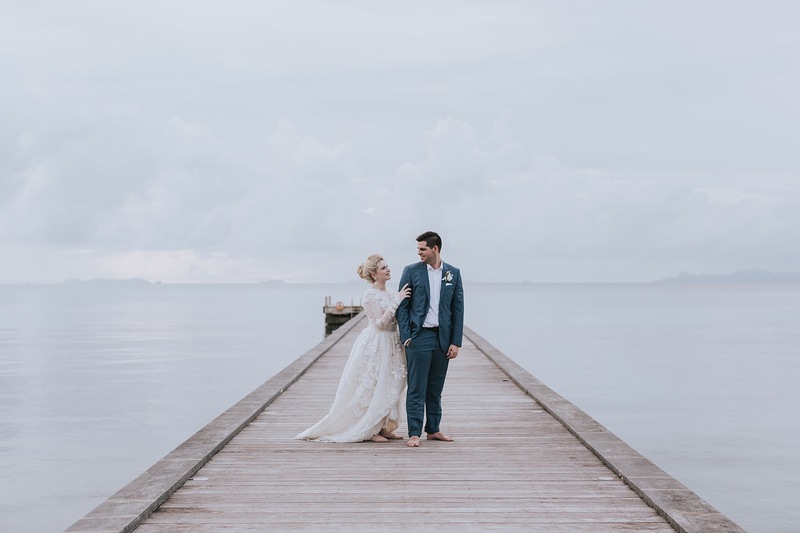 For starters, Monique & Kris had become more than just clients – by the time I flew up to Thailand to be their Koh Samui wedding photographer, we got along like a house on fire. 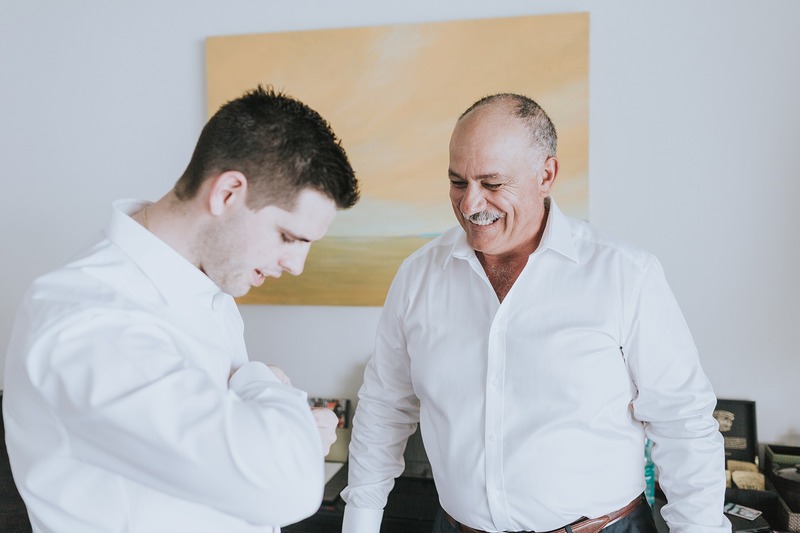 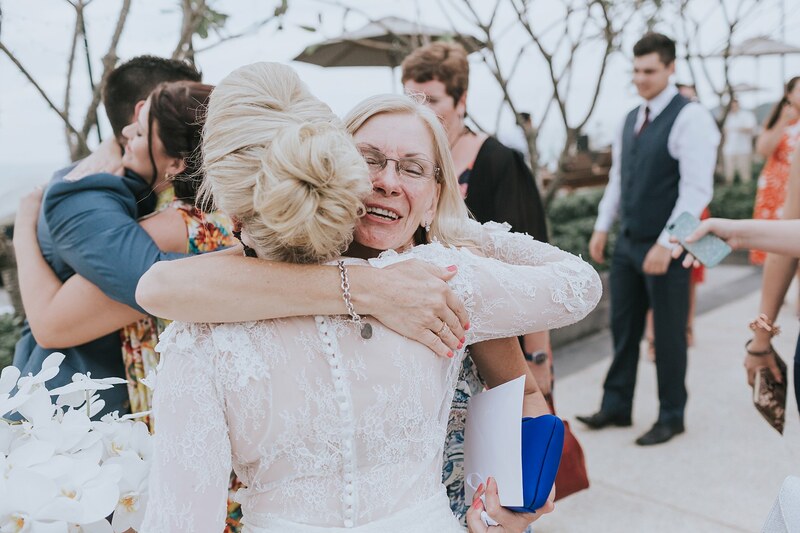 They opened up their hearts, their family and their friends…. 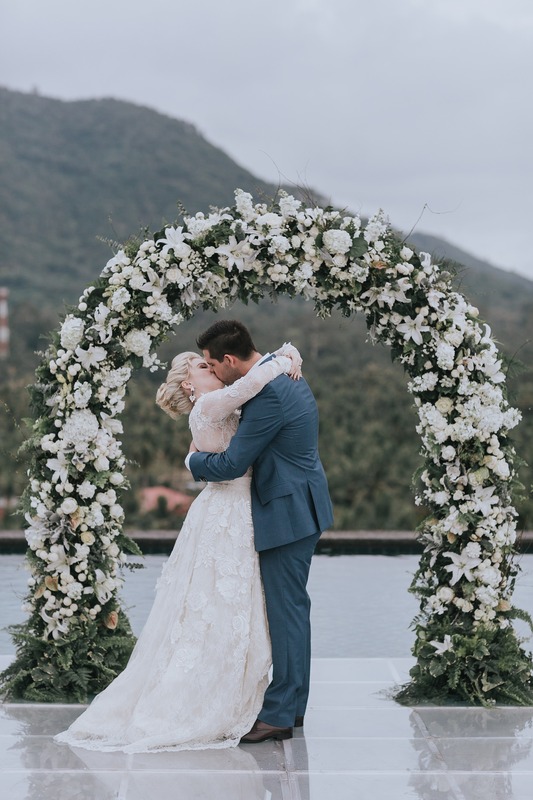 we lazed by the pool, discussed global economics and endlessly stuffed ourselves with food… and without any hesitation, they trusted my vision 110% to create breathtaking imagery that would show off their love and their spectacular choice of wedding destination. 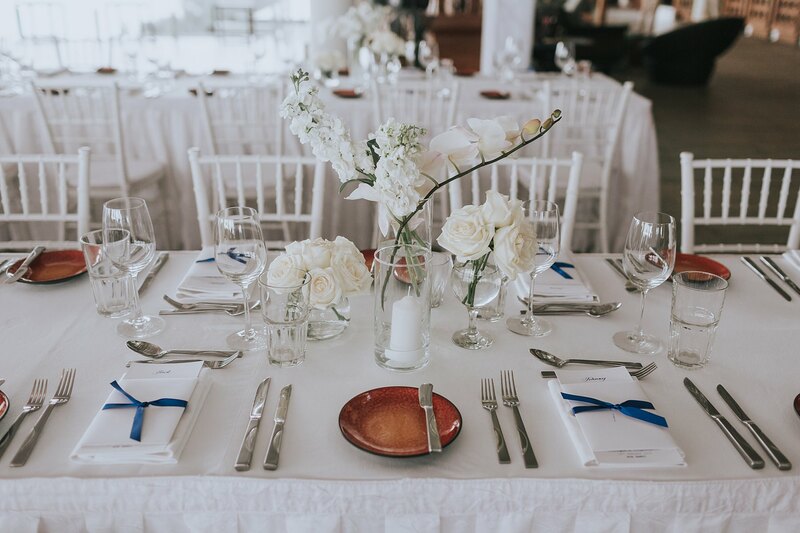 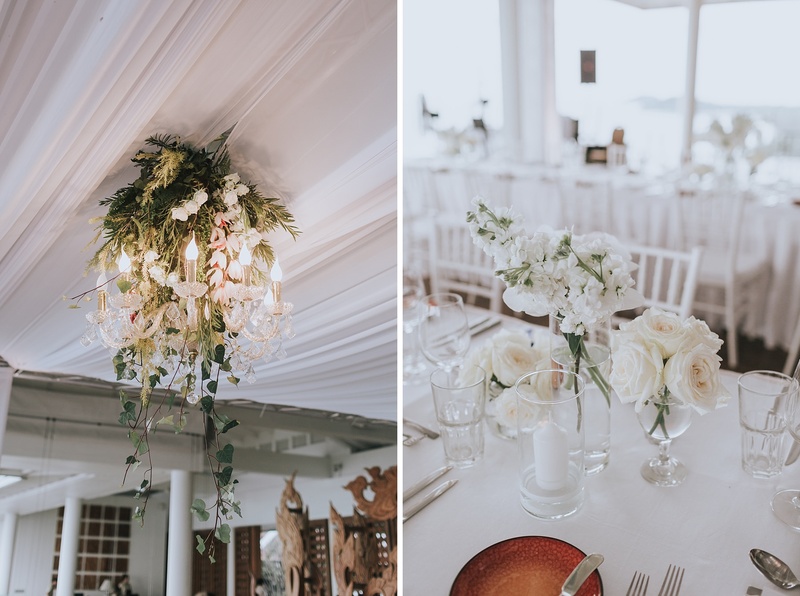 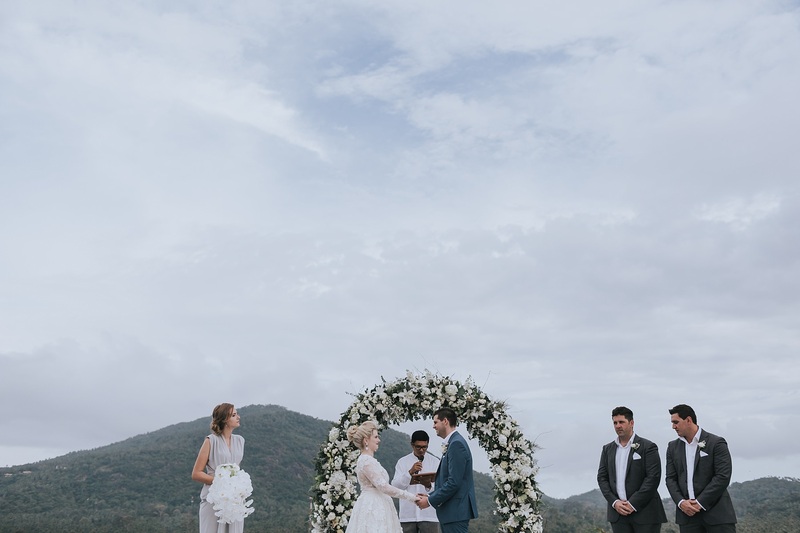 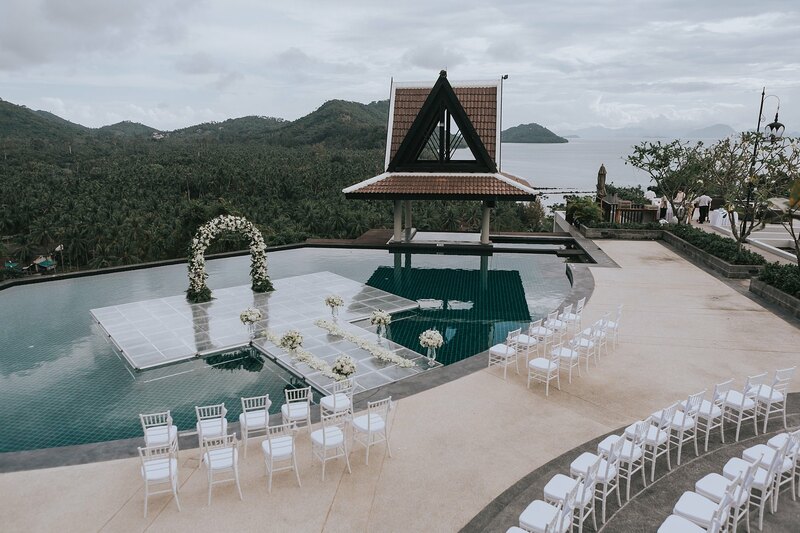 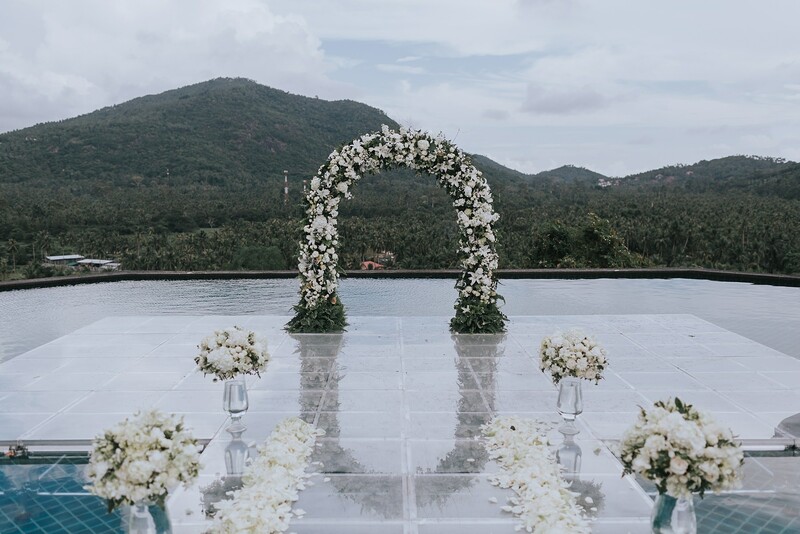 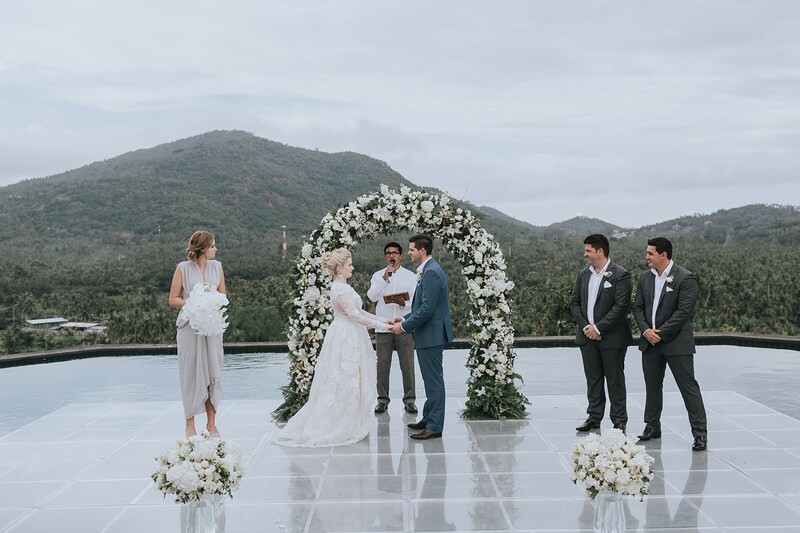 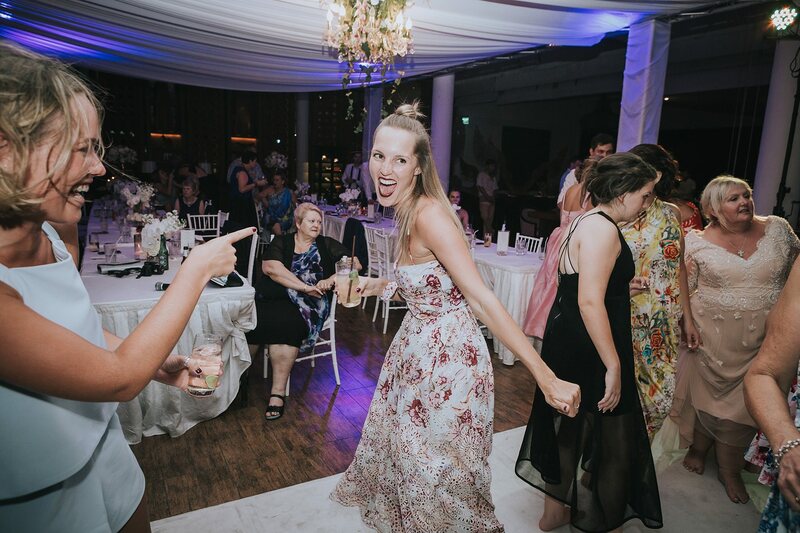 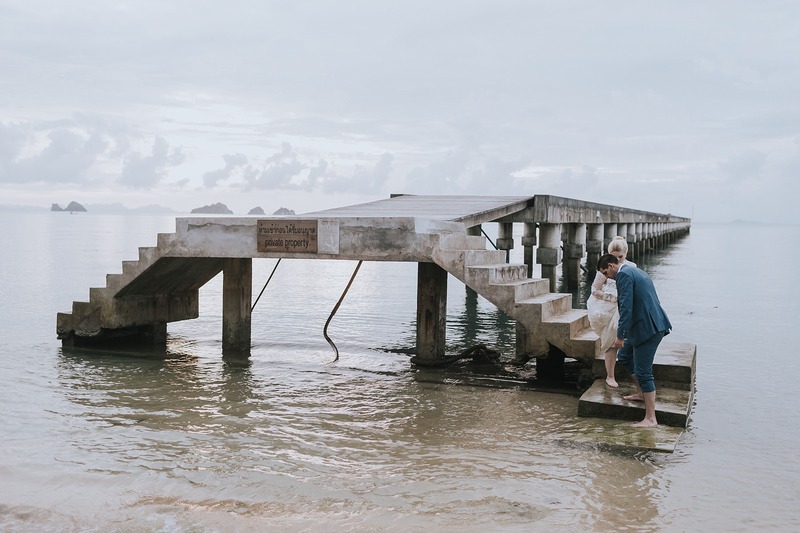 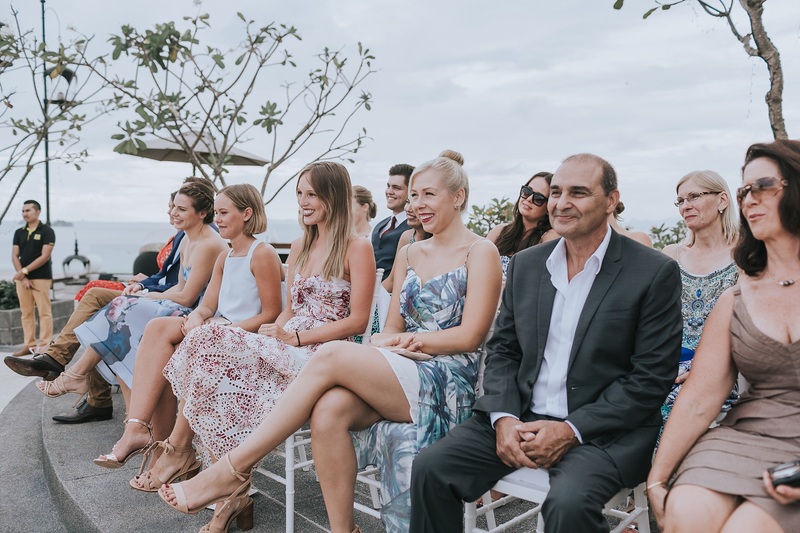 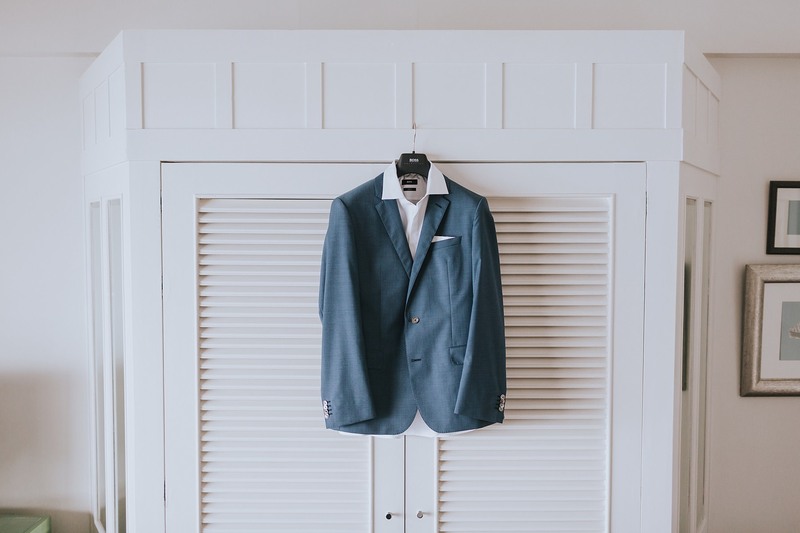 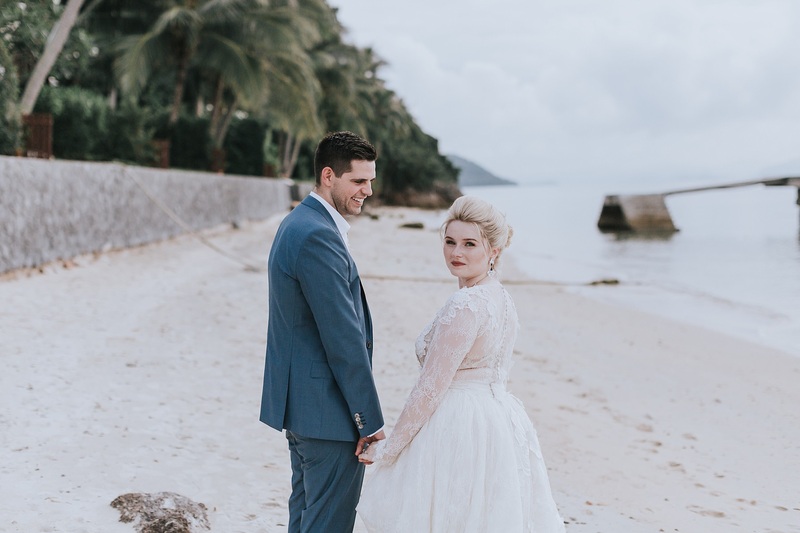 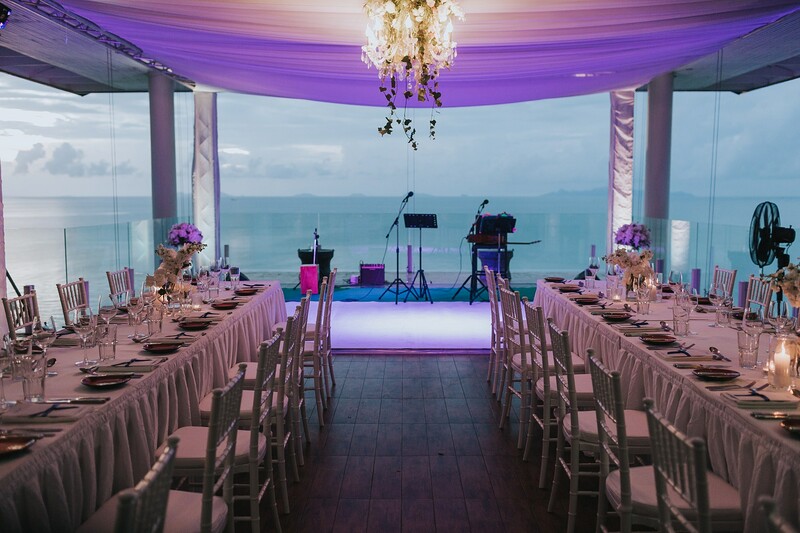 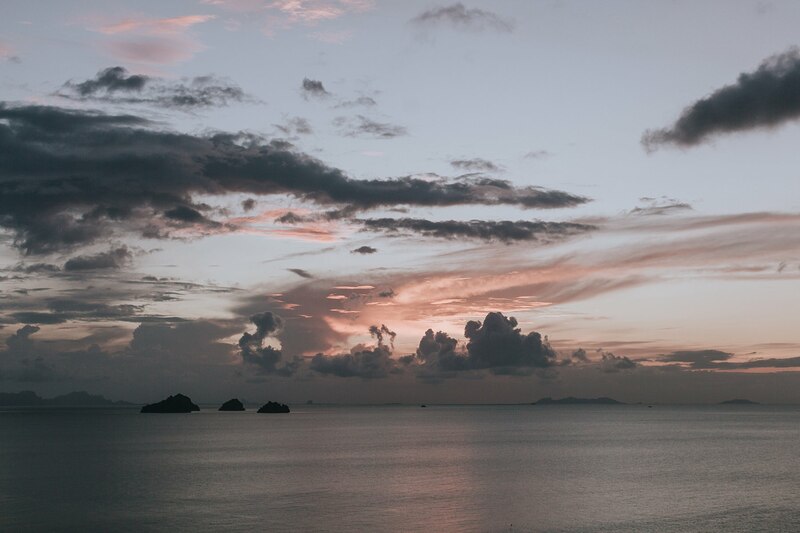 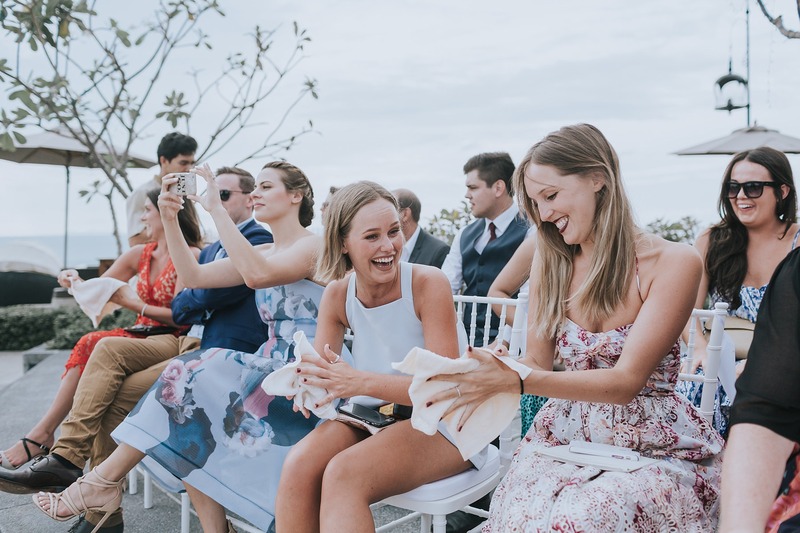 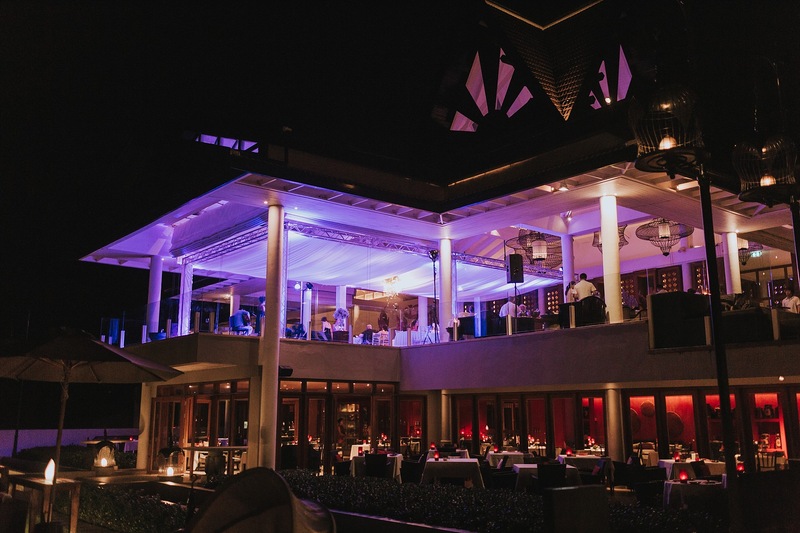 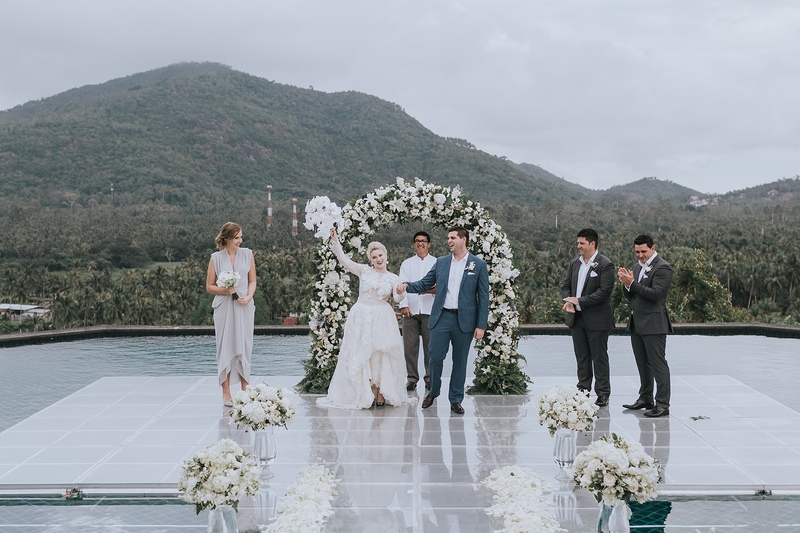 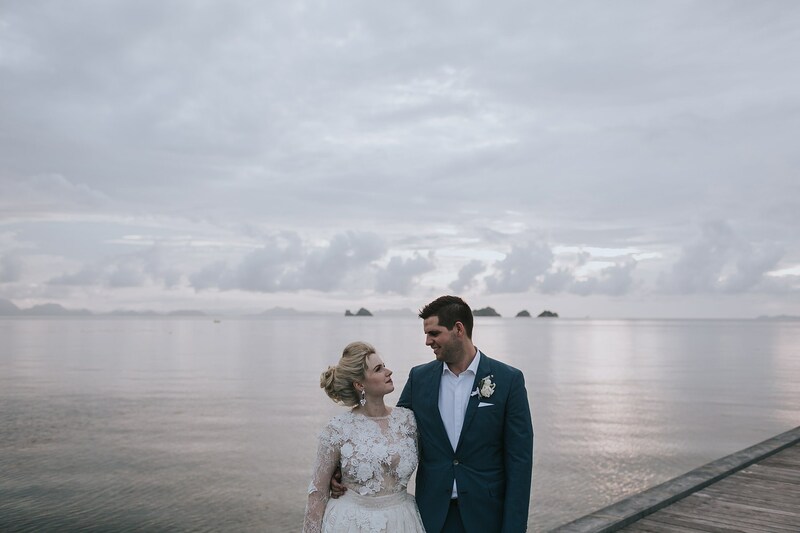 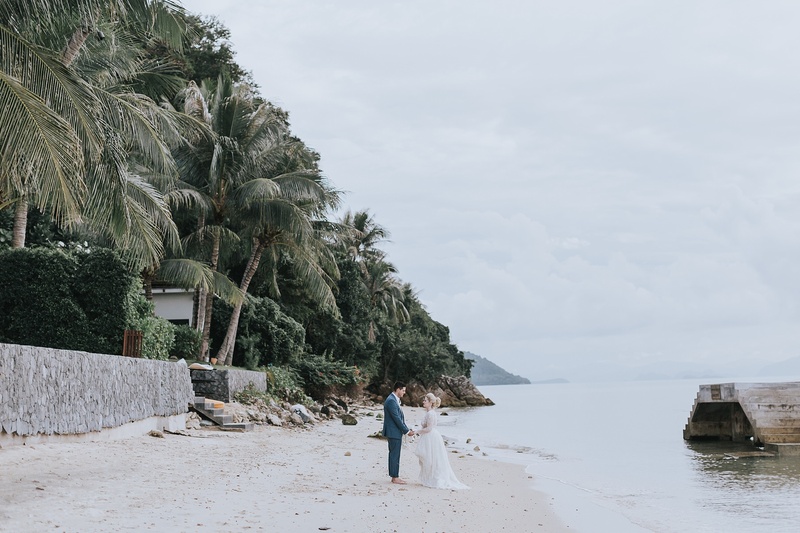 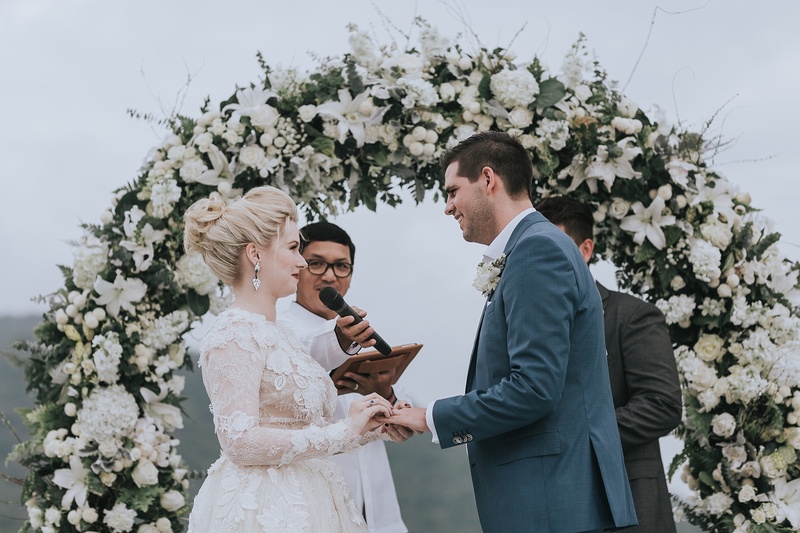 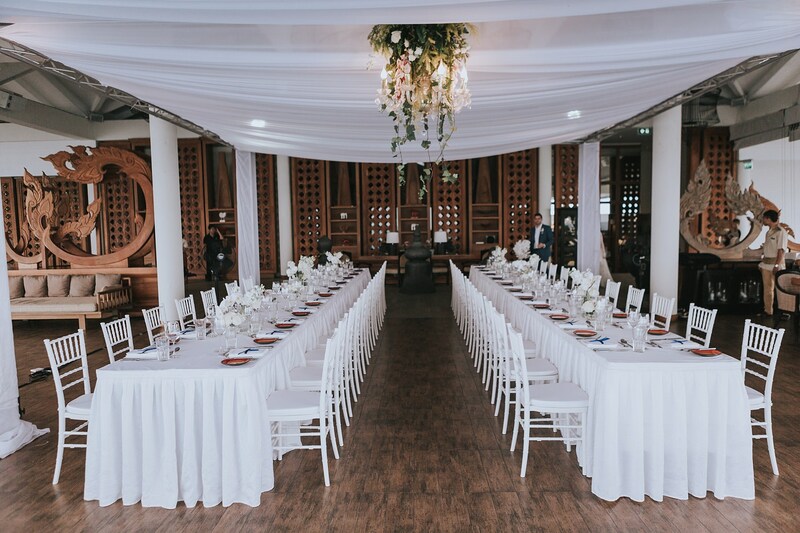 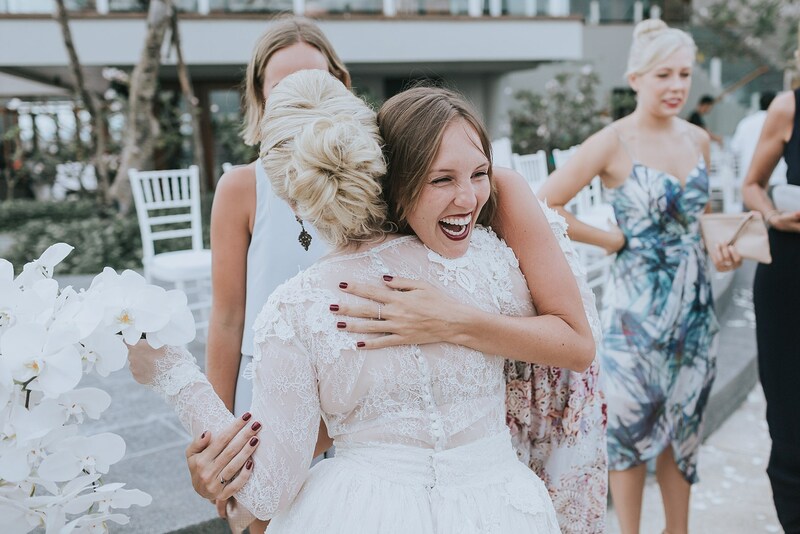 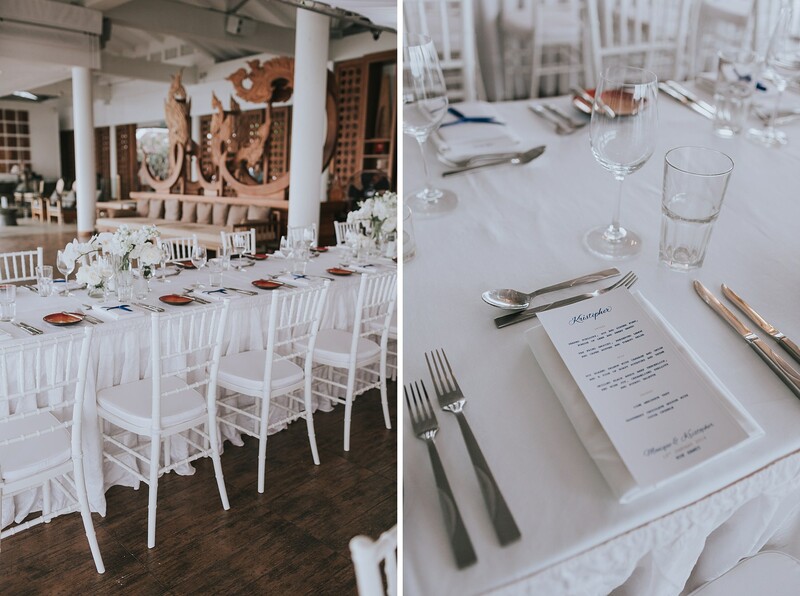 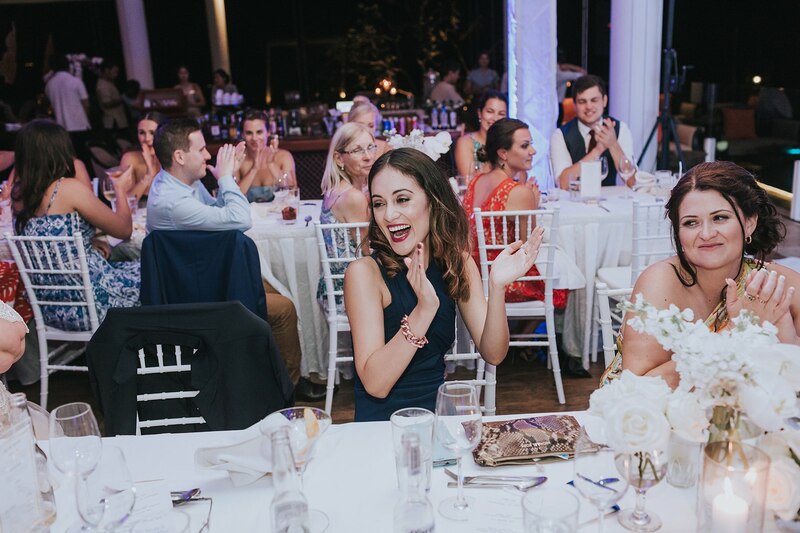 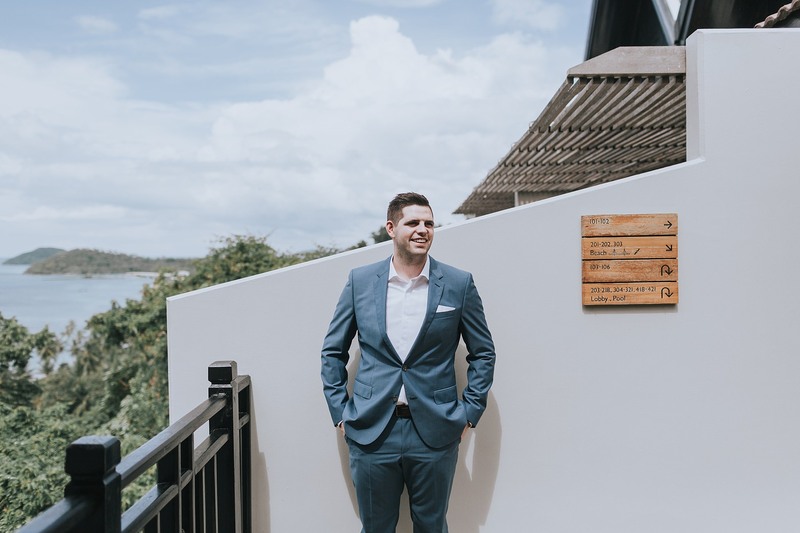 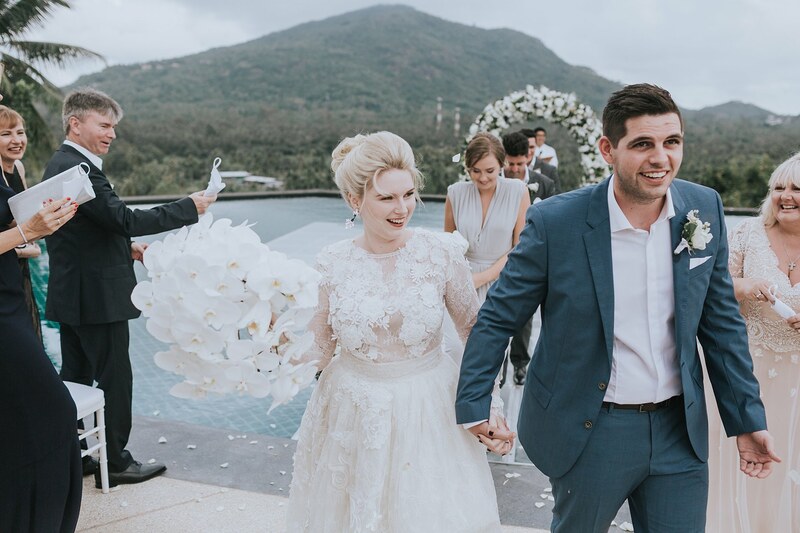 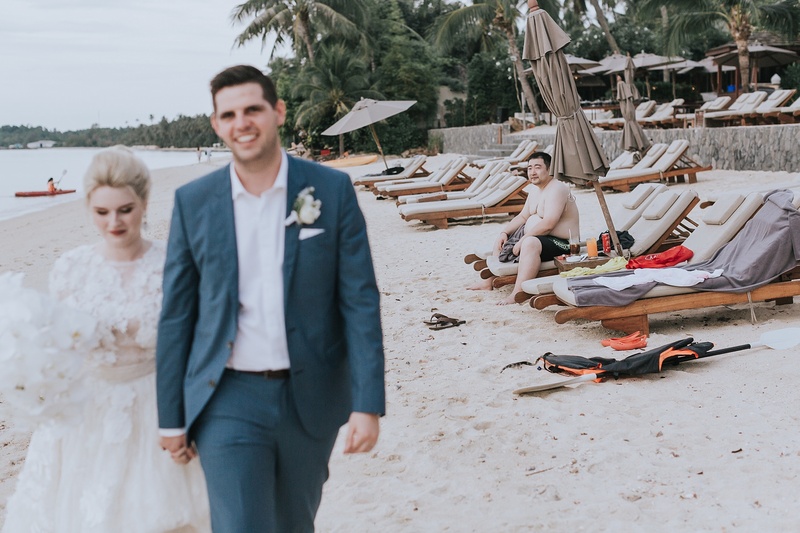 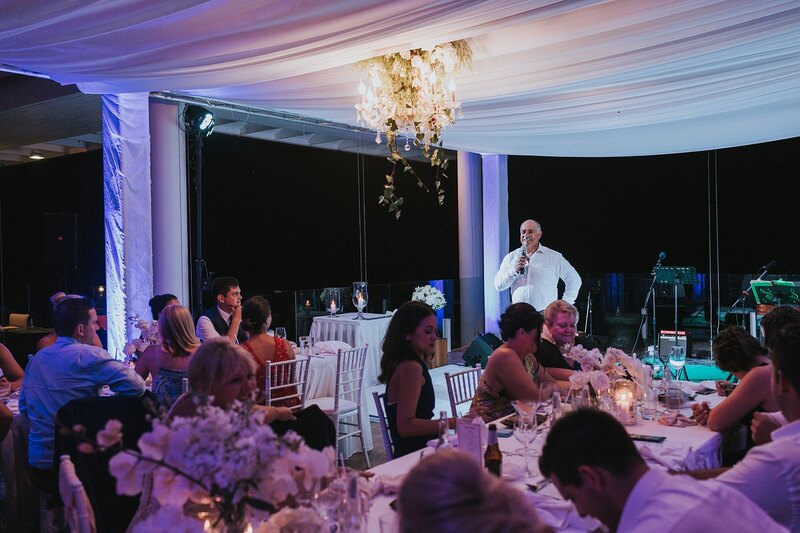 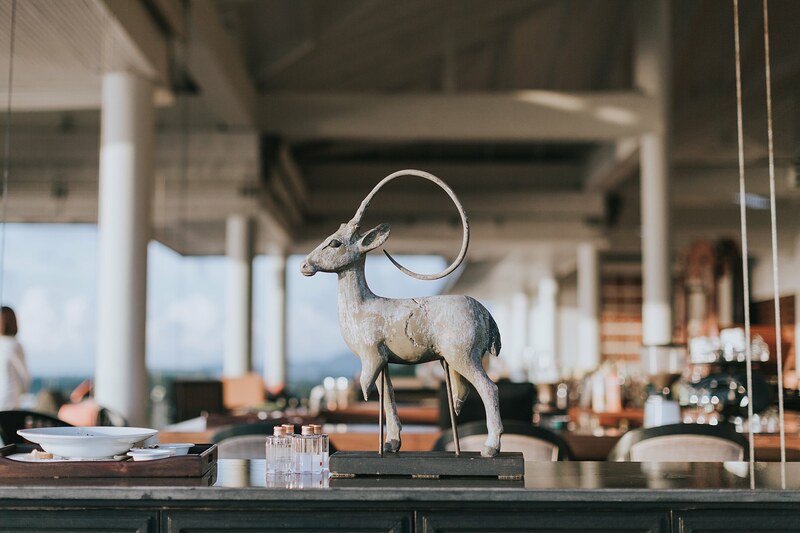 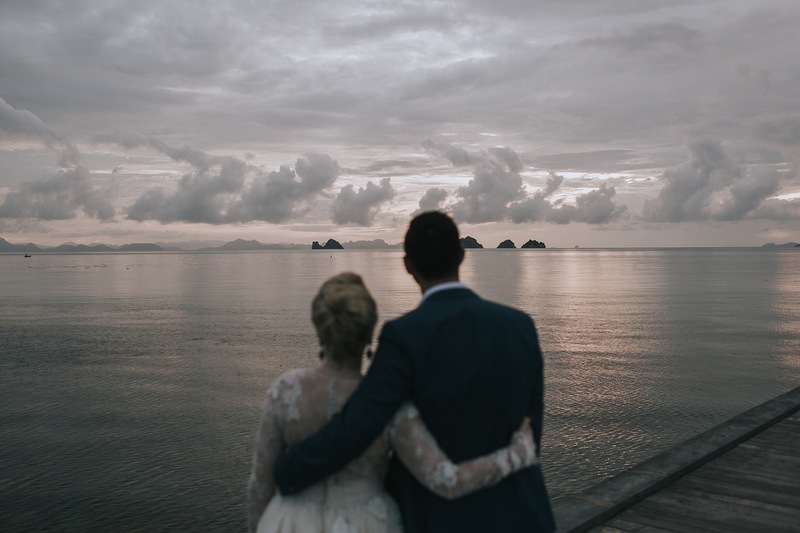 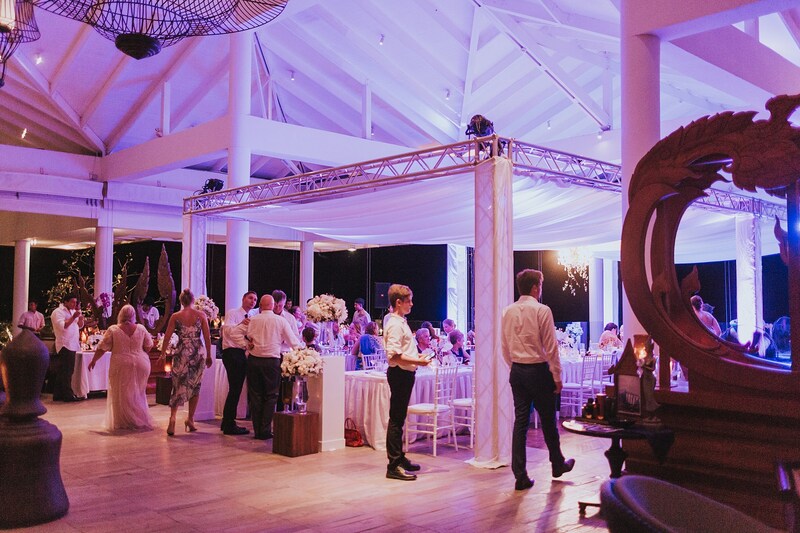 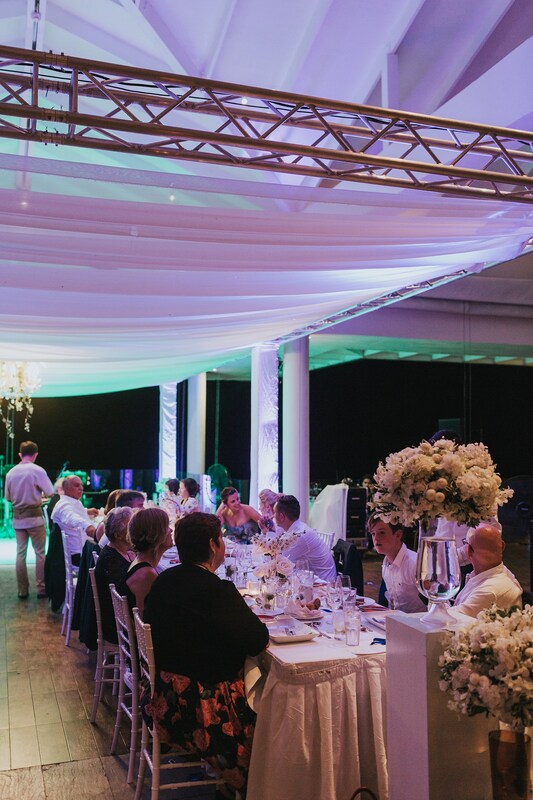 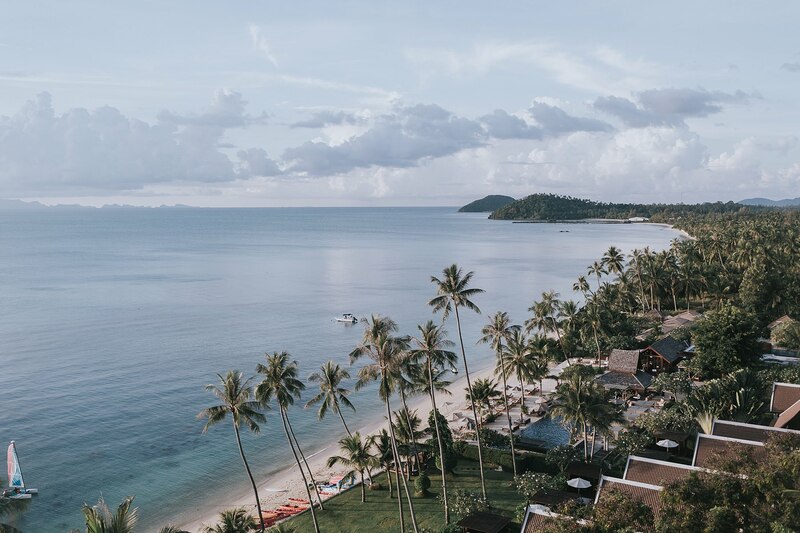 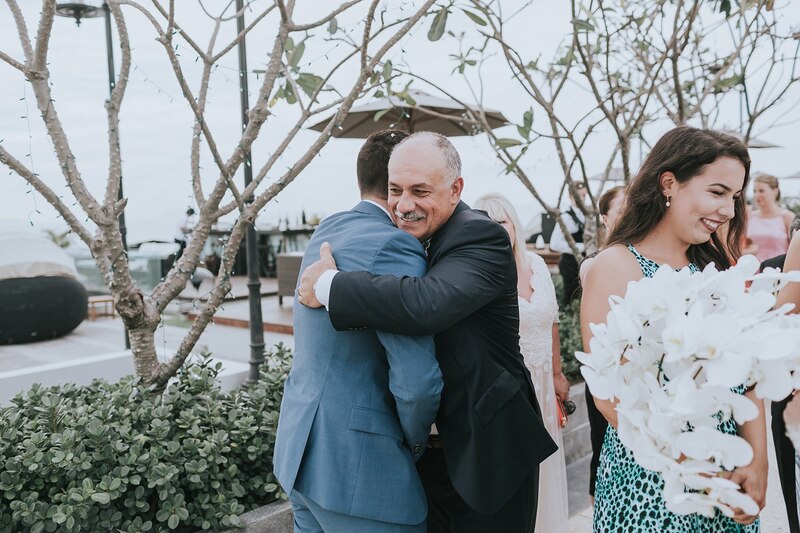 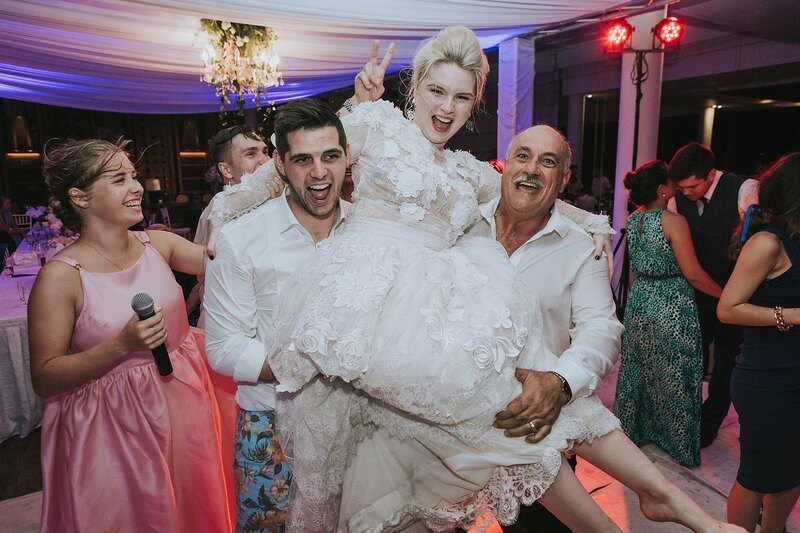 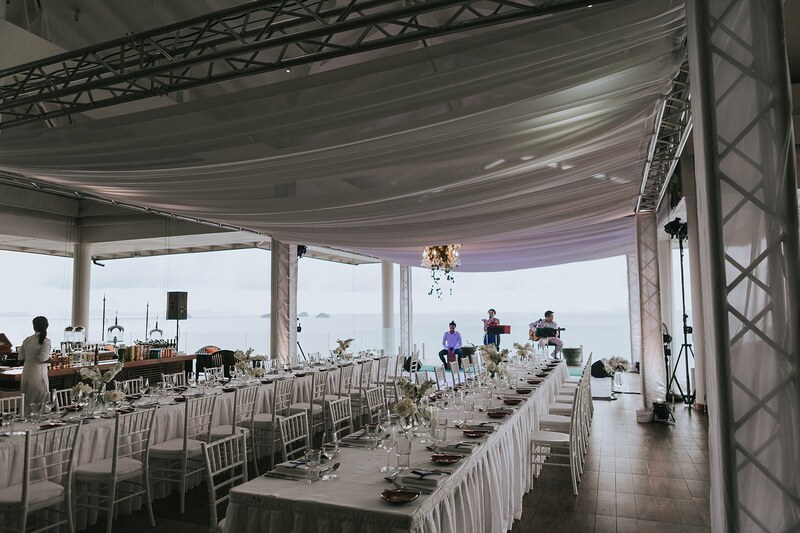 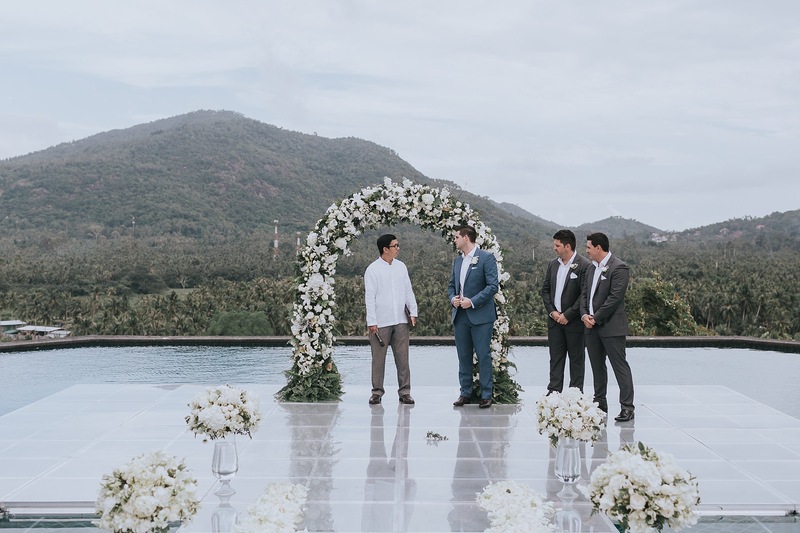 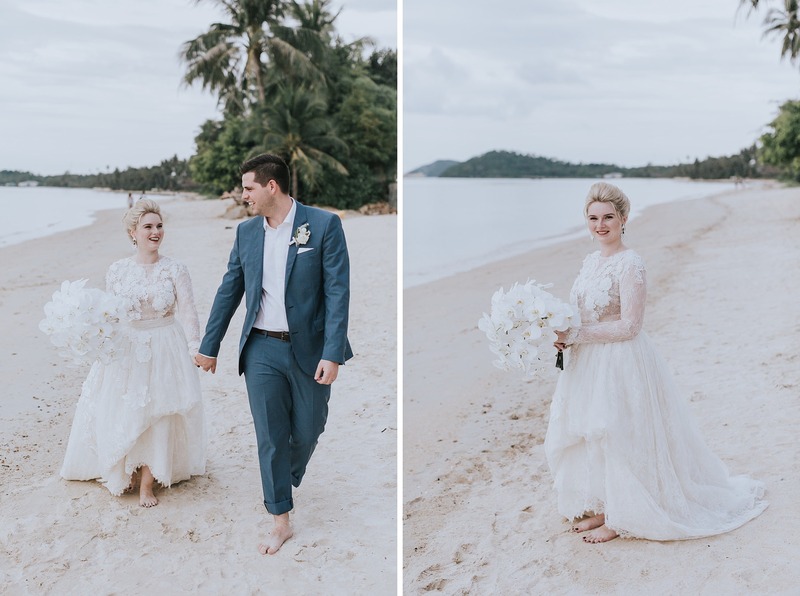 At the time I had no idea that the InterContinental Samui Resort had been voted the best destination wedding venue in the world – and it wasn’t really any surprise when I did finally find out. 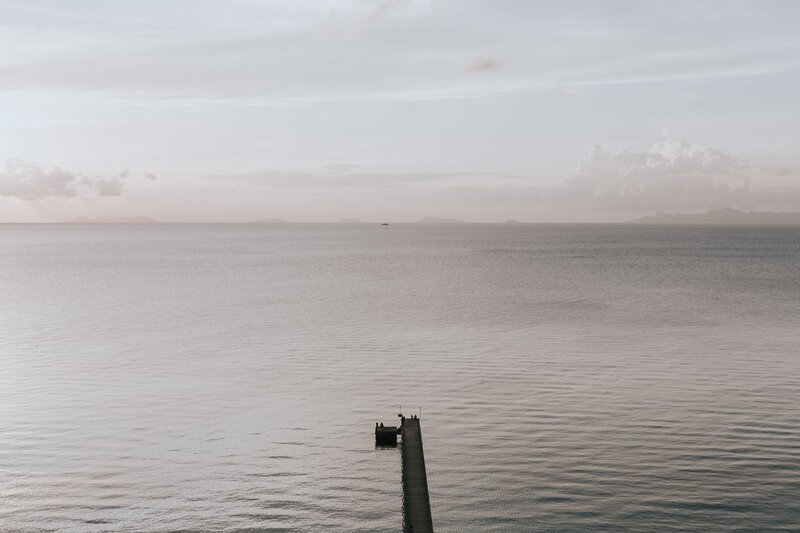 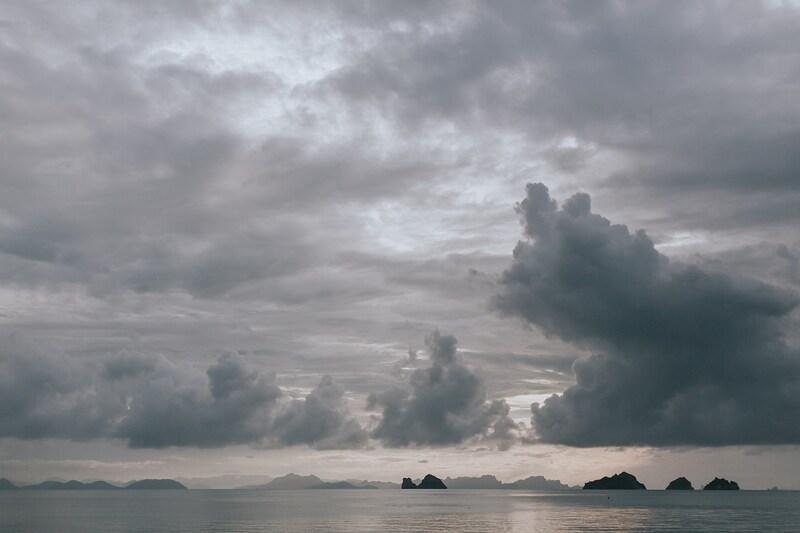 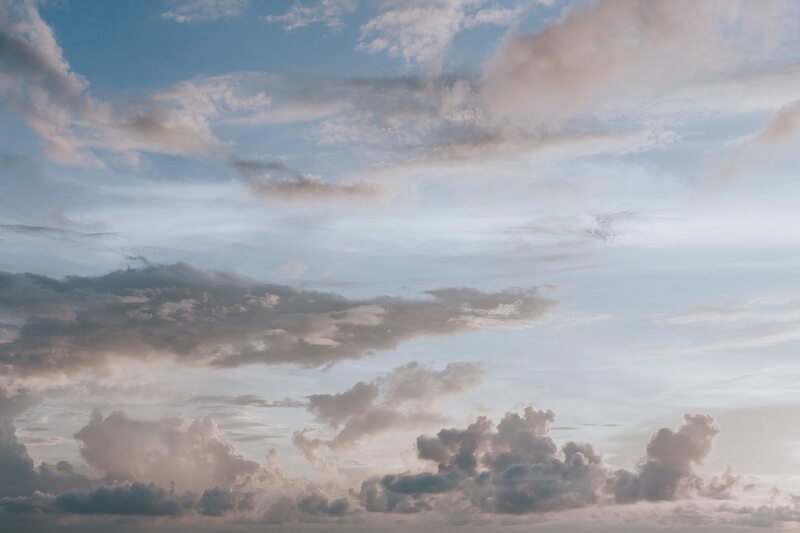 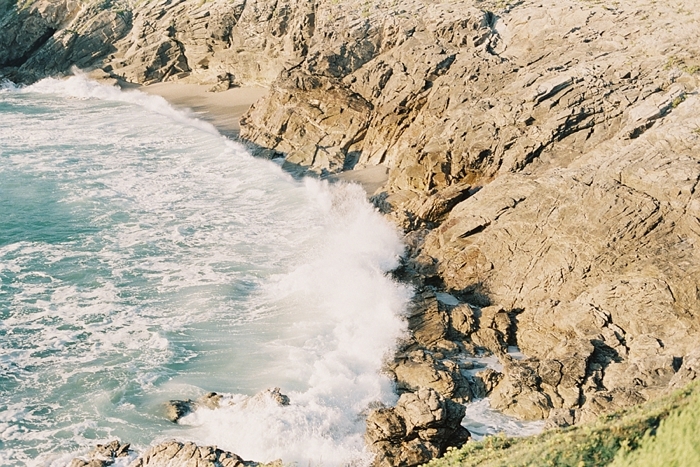 I checked in during the darkness of night and remember wearily opening my eyes the following morning only to be completely awe-struck by the stunning expanse of ocean that lay before me. 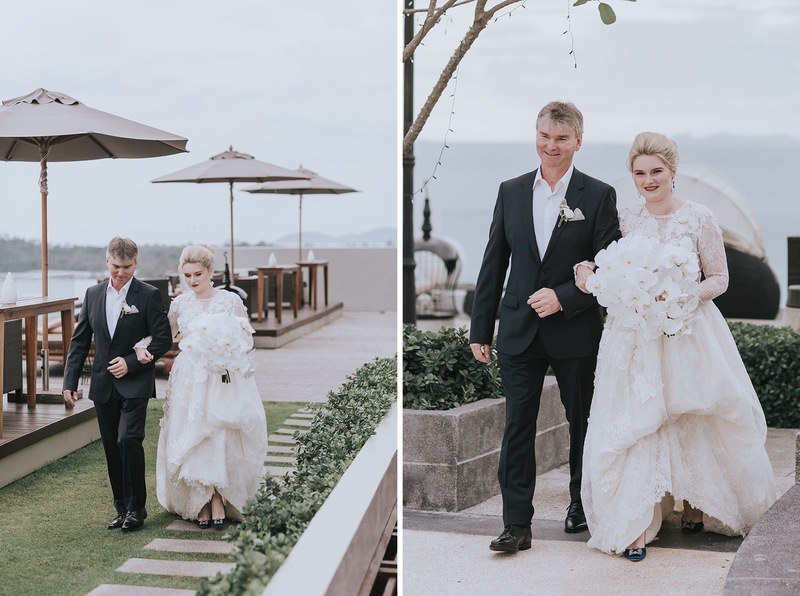 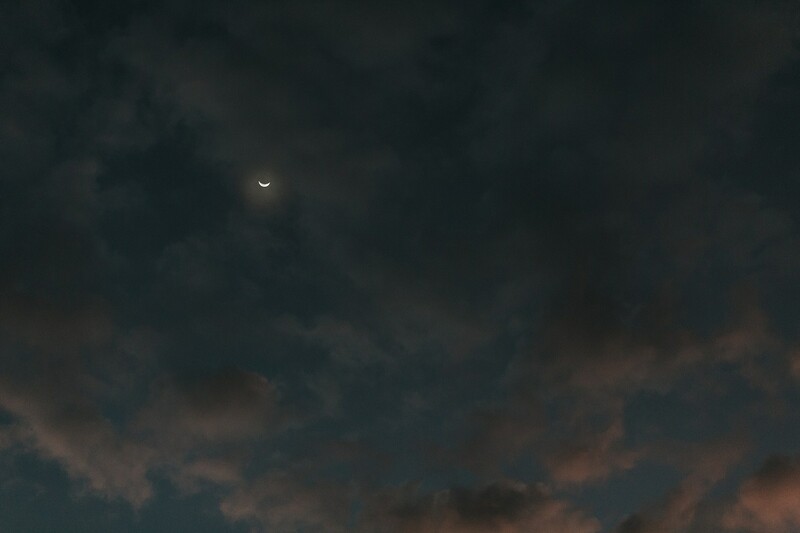 The first few photos below I actually took from my balcony! 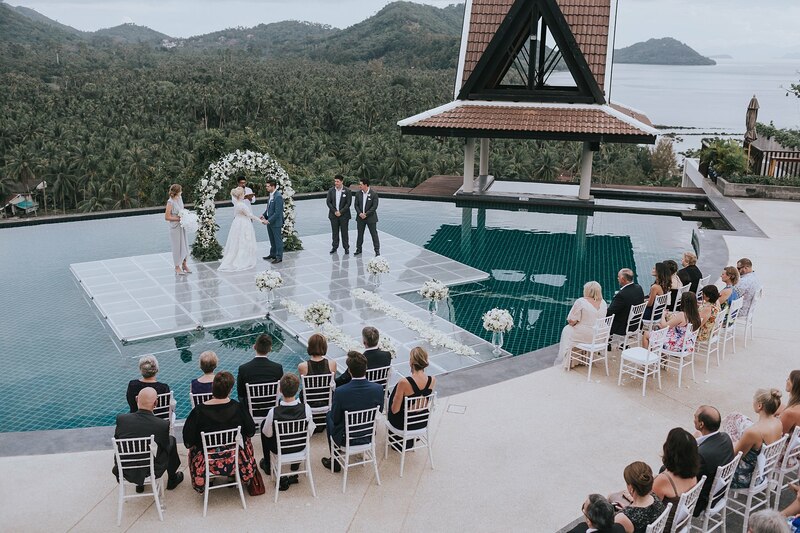 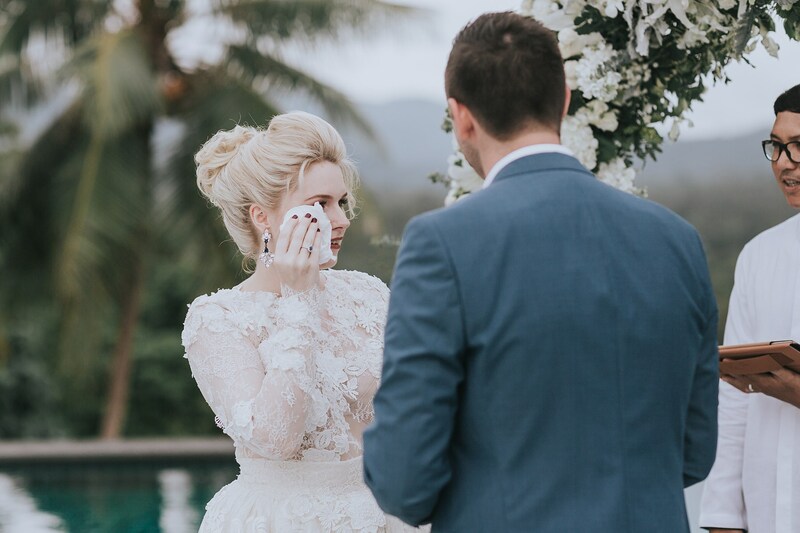 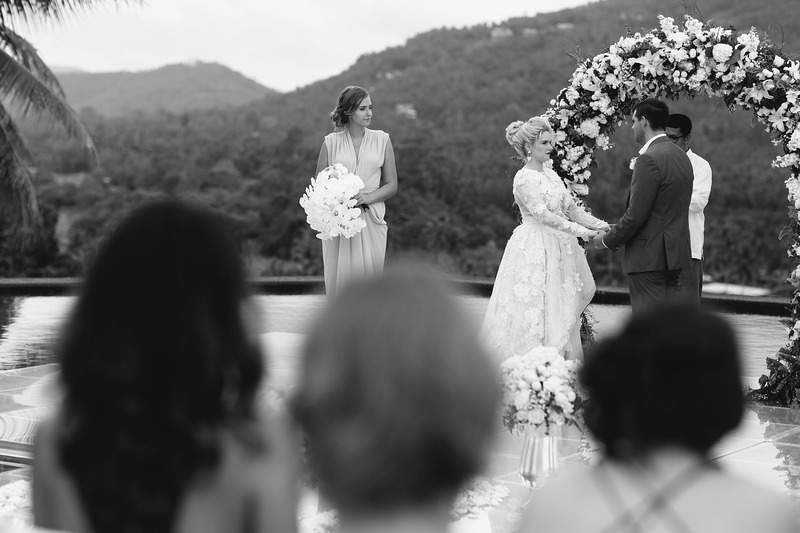 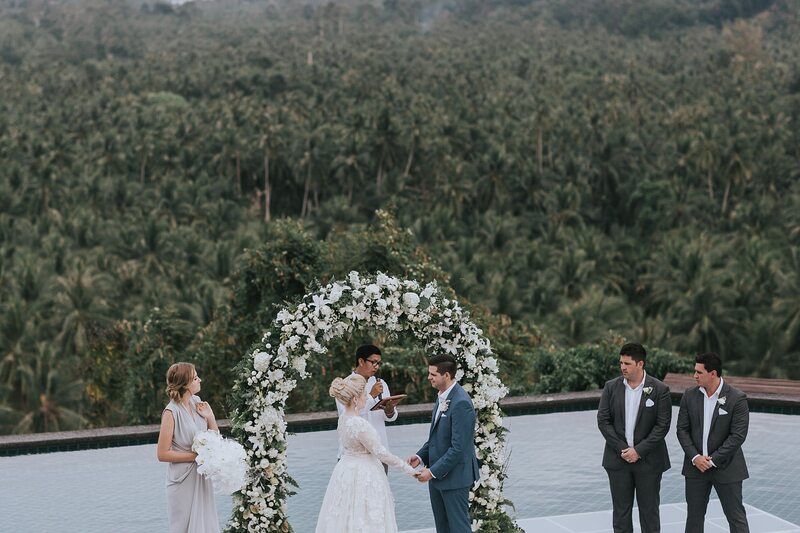 When Monique told me that the Resort had only weeks prior purchased a glass platform for their ceremony to take place on top of the infinity pool, I was thrilled, but also secretly terrified. 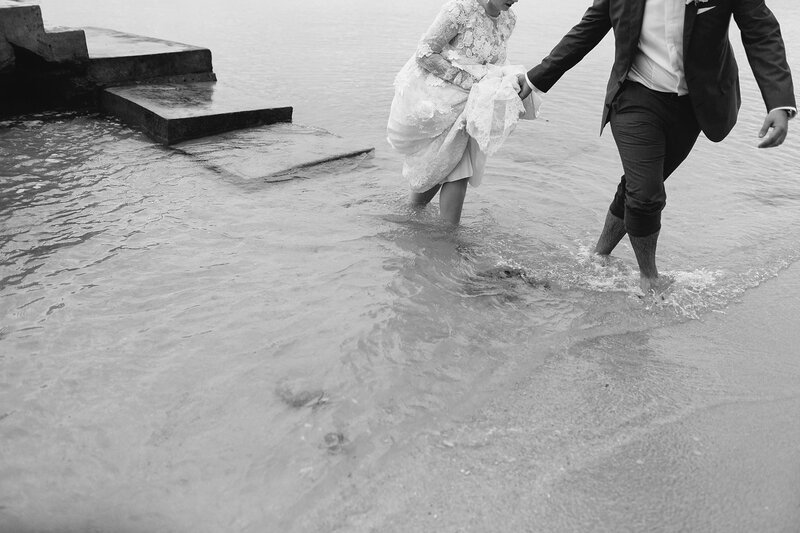 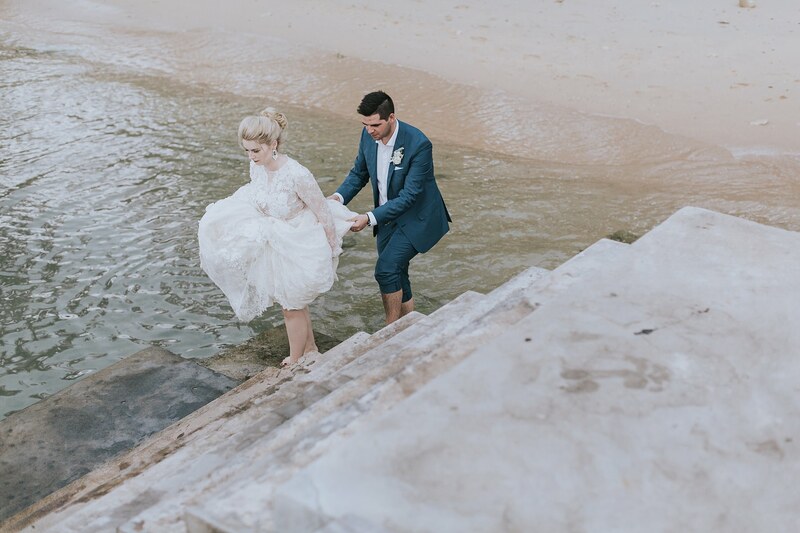 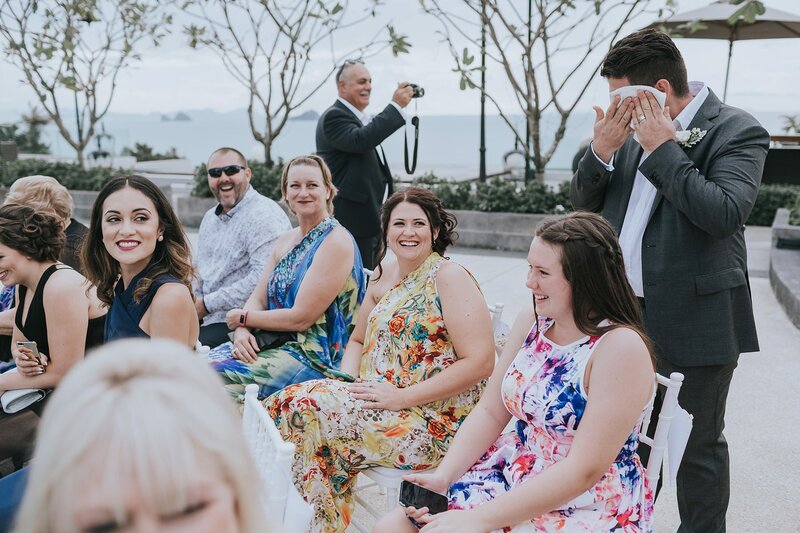 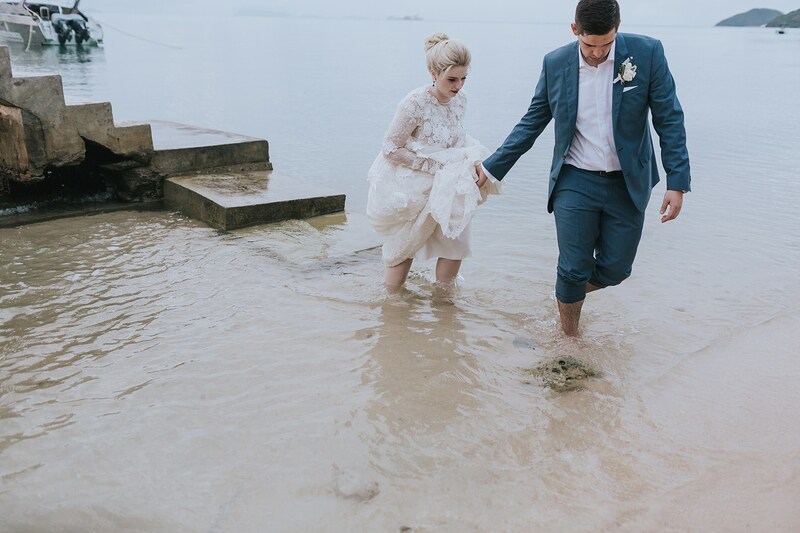 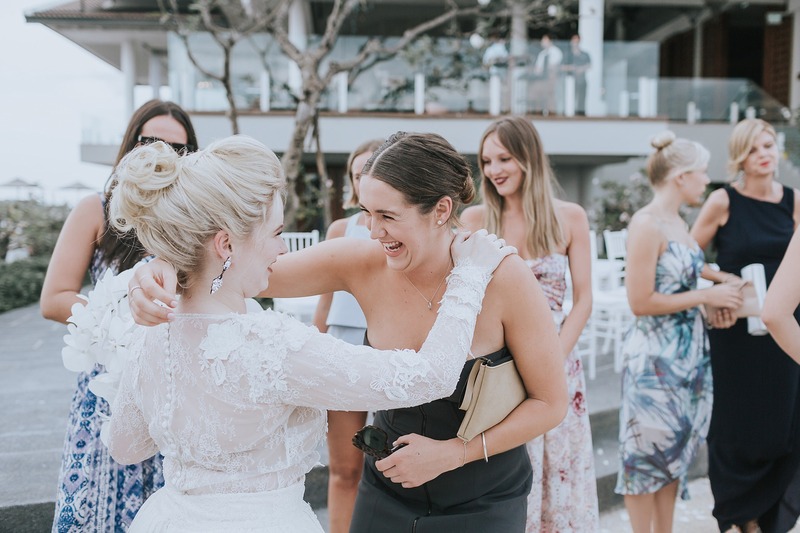 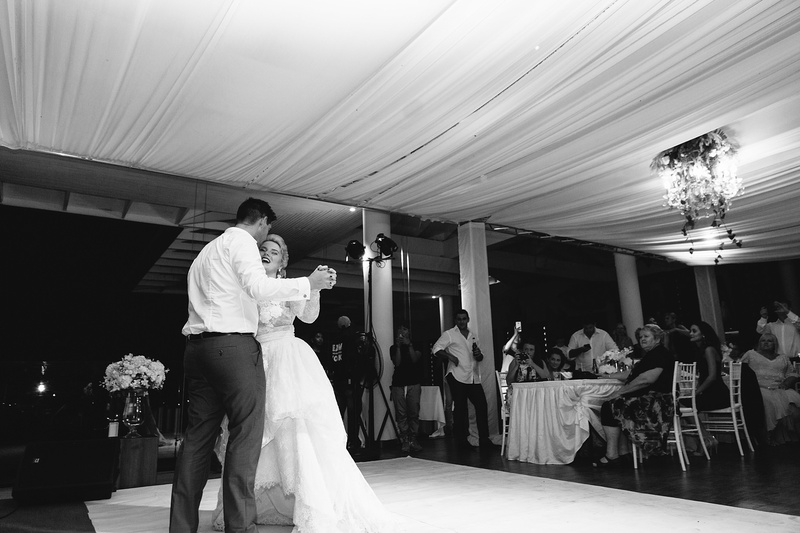 You see, I’ve watched all those wedding day blooper reels plenty of times – and the one thing I’ve learnt from them is that around water, take no risks! 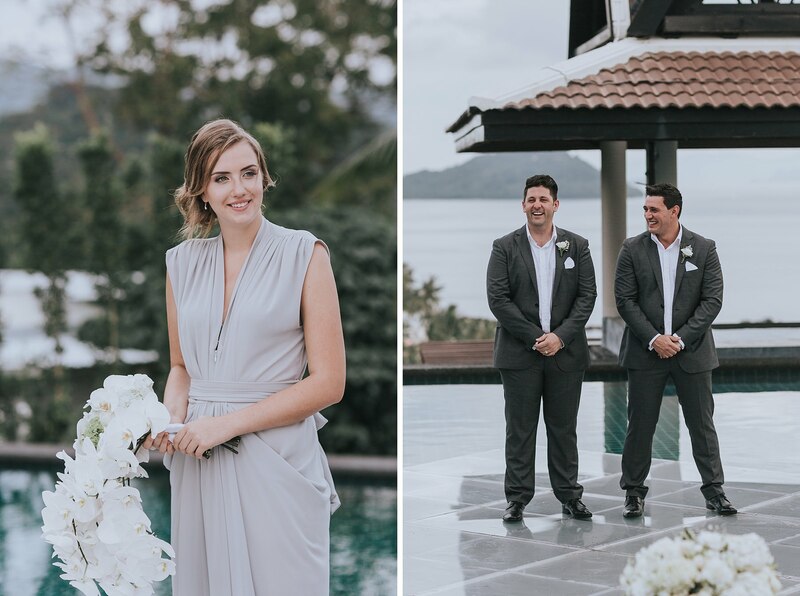 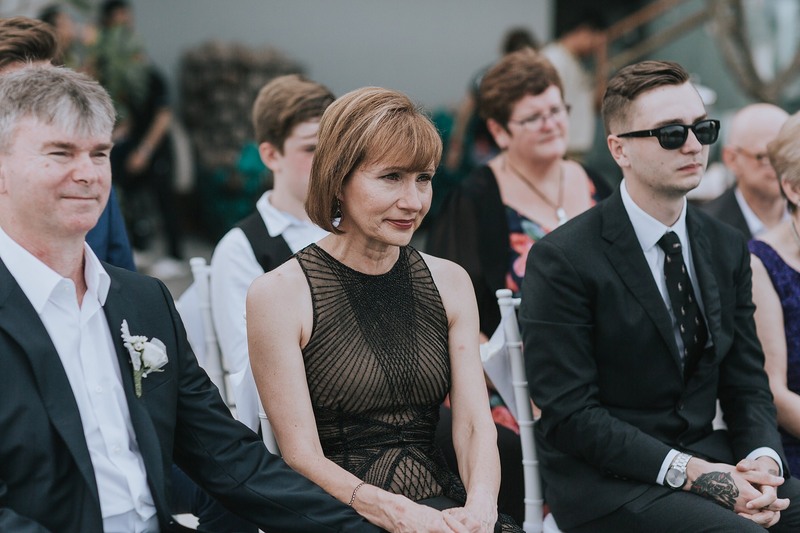 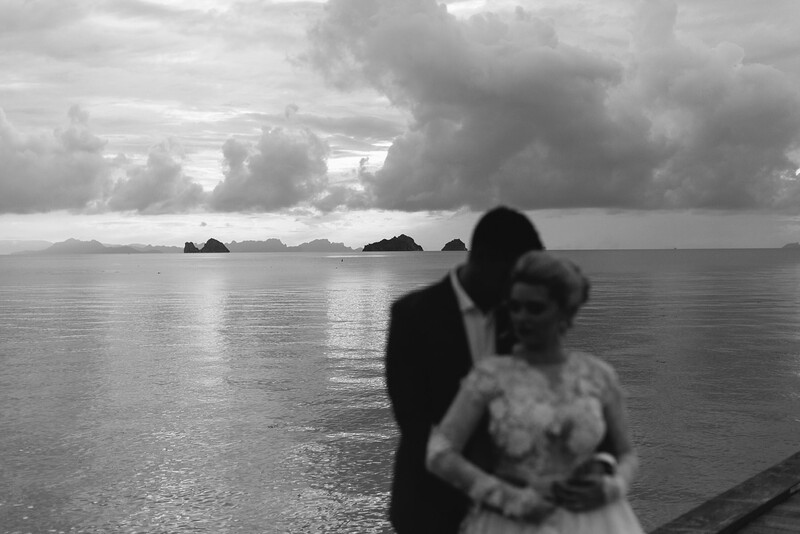 But heck, when I finally saw that epic platform constructed over the infinity pool with nothing but tropical rainforest and mountains in the distance, I knew the only way I would do their wedding photos justice was to tell my conscience to shut up and not speak another word. 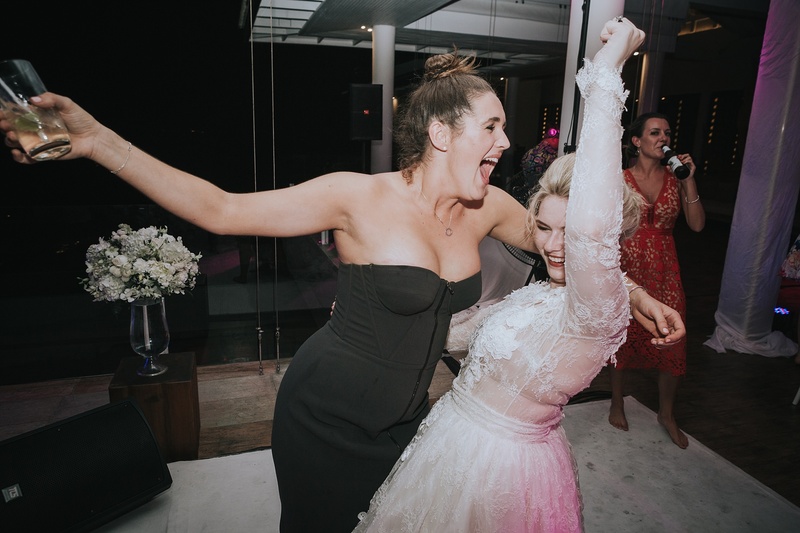 Monique & Kris also committed themselves to the cause and without any doubt, this wedding will forever go down as one of my favourites ever. 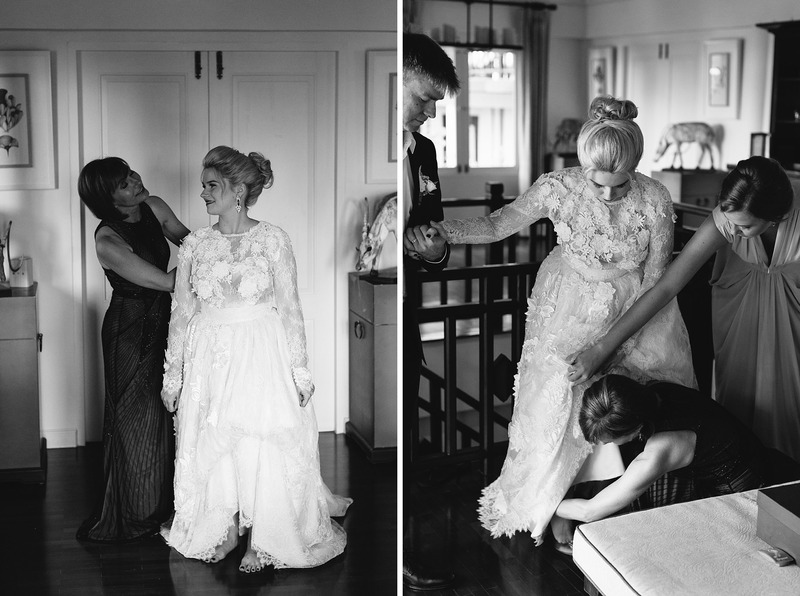 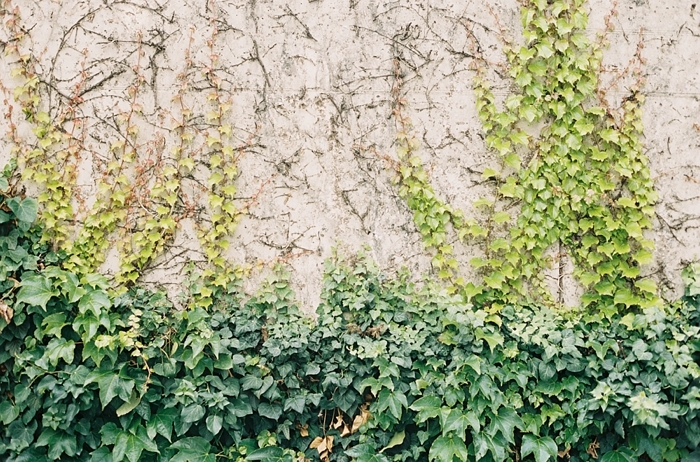 An amazing set of images and storytelling.